Welcome to CEW Beauty News, the industry's smartest news and information website. 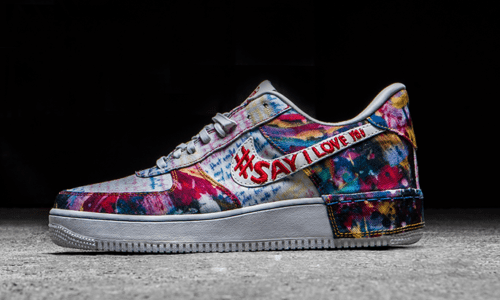 As part of its milestone, the brand has announced a partnership with Winnie Harlow and several initiatives to celebrate its expanded mission, which now includes supporting women and girls and the LGBTQ community. With more than $400 million in sales, the Coty-owned company has been valuated at $1 billion. Its secret to success? Virtual beauty parties that sell personalized products paired with a variety of customized boosters. 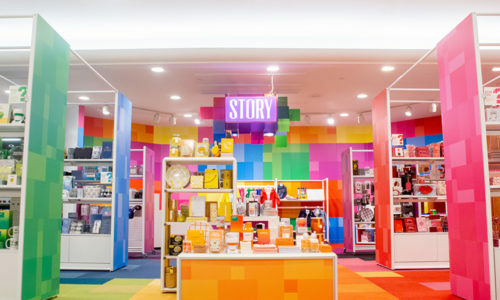 The debut of Story at Macy’s follows a color theme whereby products are merchandised by color, and new brand partners are in the mix. 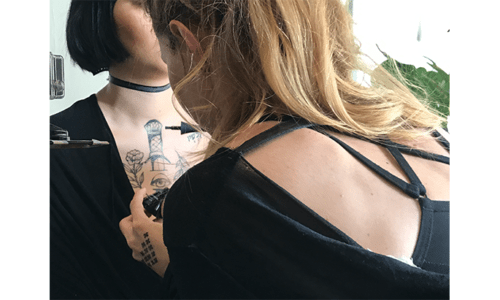 Makeup artist Jillian Dempsey found time to speak with Beauty News for our 5 Minutes With…feature. Coachella is now part of the brand’s media calendar under the category of Festival season, alongside Holiday and Awards season. CEW members have cast their votes. To view the Finalists, click here! 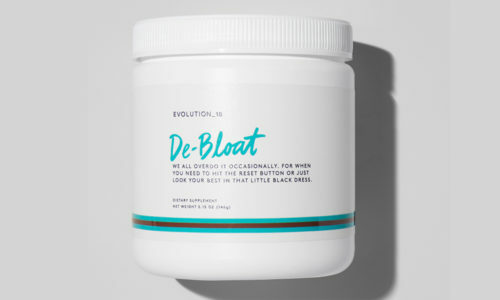 Bobbi Brown’s Evolution_18 will be the first line of supplements to be sold in Walmart’s beauty department. Blushington President Natasha Cornstein helped create a national brand with a loyal following for the makeup and hair services retailer. 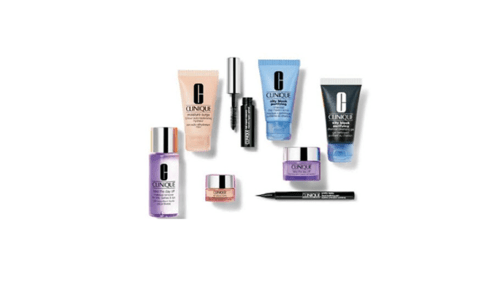 Somehow, Natasha found time to talk with CEW Beauty News for our 5 Minutes with… feature. 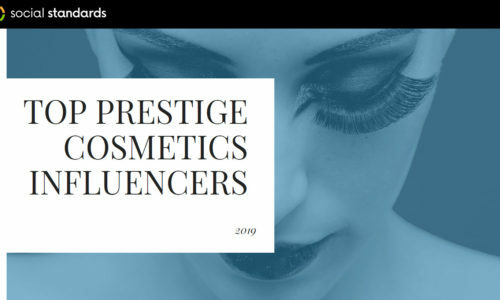 NPD’s weekly U.S. prestige beauty data shows that a setting powder product saw a +40% in unit sales following a sponsored IG post by a male influencer. 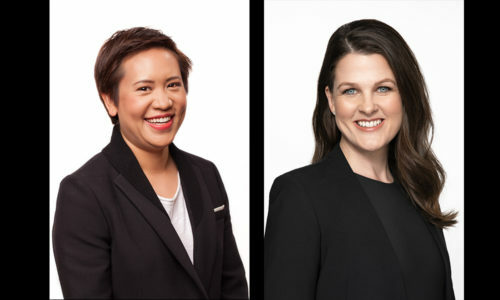 Deborah Yeh has been promoted to Chief Marketing officer (CMO) and Karalyn Smith has been promoted to Chief People Officer (CPO), effective immediately. The new subscription rates will mean a price increase for many, but the company has detailed several changes aimed at elevating the customer experience, including personalization and loyalty points. 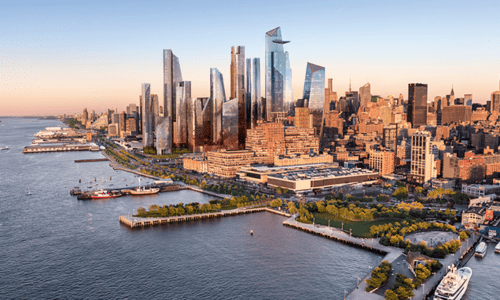 Will Hudson Yards Beauty Stores Survive? Collagen, CBD and charcoal made up a triumvirate of key ingredients trending at the annual natural products trade show in Anaheim, California. A survey revealed by Loop Commerce at Shoptalk earlier this week found that Millennials are the “most thoughtful generation” when it comes to gifting, and despite the high priority placed on holiday season gifting, birthdays hold the top spot as the most popular gifting occasion. 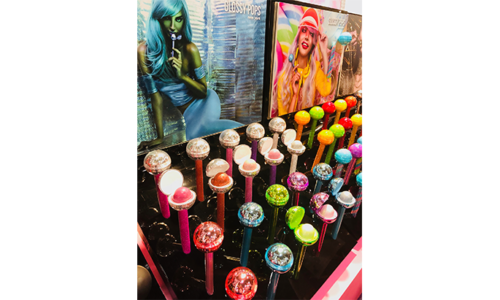 The edgy beauty brand has put its vivid, glittery imprint on every color category with the recent unveiling of 100-plus SKUs. 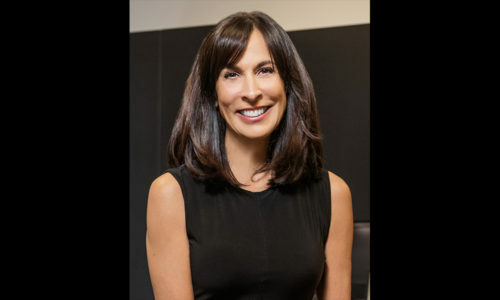 Sephora’s Senior Vice President of Merchandising for Skincare and Hair discuses incorporating wellness into the retailer’s beauty aisles and shares her predictions on how the wellness category will impact beauty in the next three years. Sephora is gearing up to open 35 new locations across the United States this year. 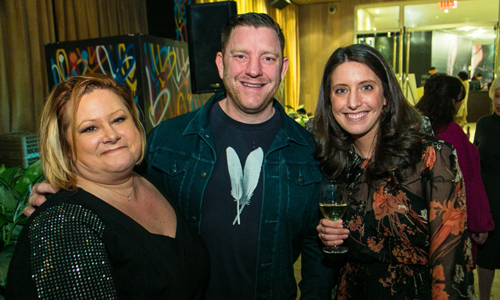 The move marks five years of significant brick and mortar growth for the omni-retailer. CEW sat down with several Alibaba Group team members to hear the latest about what’s happening in beauty at one of the world’s largest retailers. Tapped by Arianna Huffington, Ashley will be leaving her six-year career at Refinery29 to lead Thrive Global’s business sales, marketing and monetization strategy in the newly created role. The site for the online beauty retailer that donates a percentage of sales to charity is no longer operating. 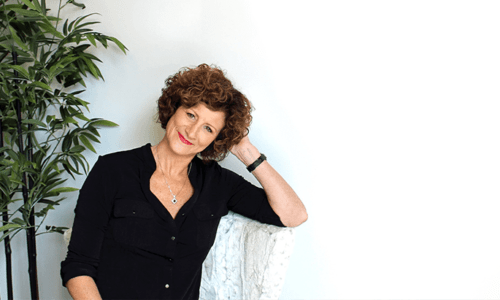 Molly spoke to CEW Beauty Insider about the challenges of juggling three new brands, Love Beauty and Planet, ApotheCARE Essentials and The Good Stuff, and shares her goals, biggest surprises and strategies for reaching consumers. 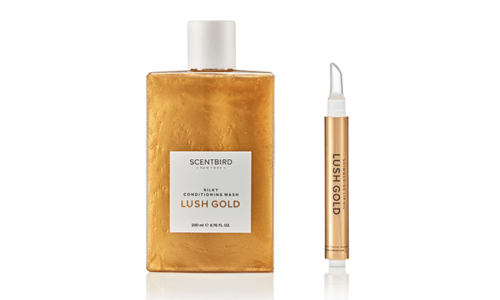 This week’s launches included Biossance’s squalane-infused Tea Tree Collection, Nest’s first retail store and Scentbird’s new line of liquid lipsticks and makeup subscription service. 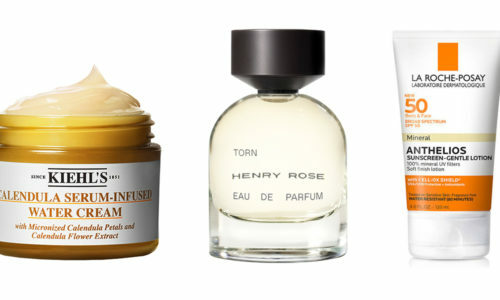 Here’s what’s on the Beauty Scene from three important brands. According to the Korea Herald, market watchers are voicing concerns that this year will be a make-or-break period for the group, as a continued sales downfall will make it harder for the company to recover from its ongoing slump. Alisa Marie Beyer, CEO of LemonTree Partners outlines why making a plan to succeed is essential for every new executive. Sexual wellness is emerging as a beauty category in its own right, increasingly linked to holistic health, vitality and radiance. CEW Beauty Insider explores the segment’s key drivers, and the brands that are entering the beauty mainstream. Digital-first brands looking to experiment with physical retail can bring their brands to life with immersive, customized spaces on the ground floor of Showfields four-story concept store. 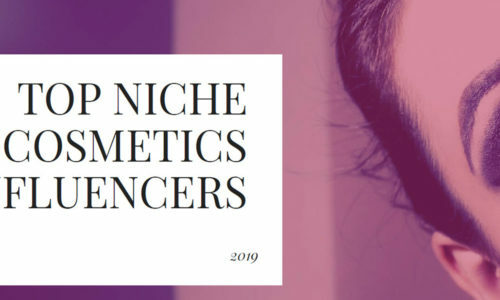 To help brands identify and begin relationship building with breakthrough talent, CEW has partnered with Preen.Me to identify a list of 100 up-and-coming influencers across the makeup and skin care categories. Dr. Katie Rodan and Dr. Kathy Fields are unveiling a new two-step teen acne treatment they said will be a game-changer due to a new delivery system for acne’s most commonly used solution-oriented ingredients. L’Oréal posts its most successful year in 10 years. Here, Dara discusses strategies for reaching younger consumers and how the product’s second incarnation addressed consumer confusion. 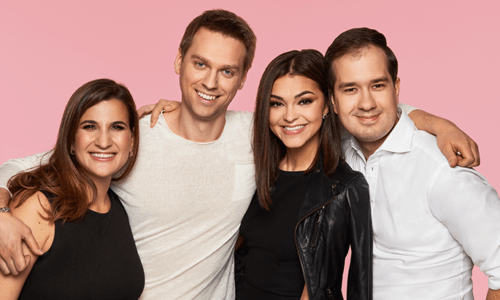 Fountain of Truth, Giuliana Rancic’s six-month old skin care line, is making its debut on HSN.com in late March, and will appear on-air in April. 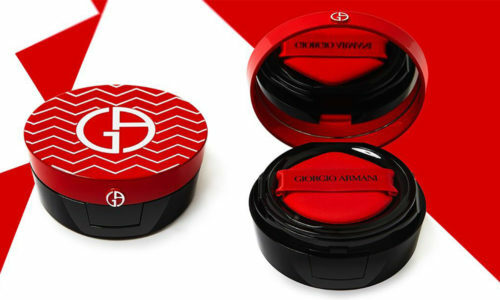 A striking scarlet exterior, red carpeted floors and red lacquered cabinetry are all designed to convey Hollywood glam the brand is known for in its new pop-up, said Alyssa Navia, AVP of Marketing, Giorgio Armani Beauty & Skincare at L’Oréal. 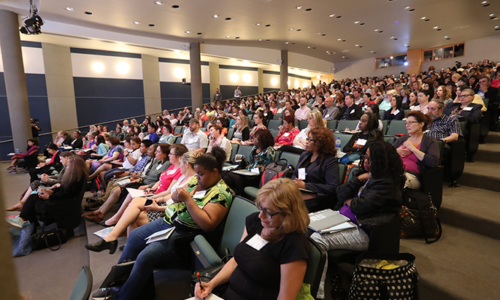 More than 100 people attended the event, hosted by WWD. Click here to see photos and access WWD’s special 40-page milestone dedicated to CEW. Efforts by mass retailers to elevate beauty departments have not paid off—yet, according to recent Nielsen data. In this special report, Kline presents a comprehensive analysis of the U.S. market for hair care products, focusing on key trends, developments, challenges, and business opportunities. 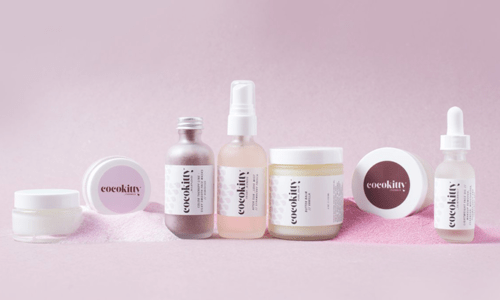 The skin care and color brand has relocated its Los Angeles brick-and-motor store, coinciding with the largest product roll out in the company’s history, and plans to expand to Sephora Asia this year. 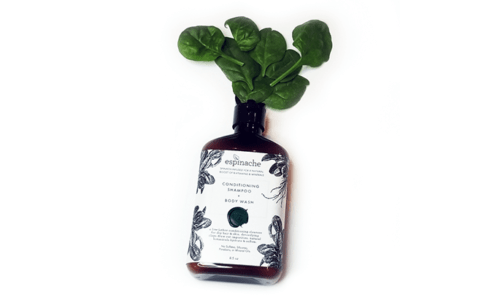 Long used as remedies within herbal medicine, adaptogenic herbs are a growing trend in the beauty and wellness space. Here, Beauty Insider presents some of the most common adaptogens, and the products in which they play a starring role. Erno Laszlo is aiming to modernize its 92-year-old heritage skin care brand by launching several new initiatives aimed at attracting new consumers. Here, CEW Beauty Insider spoke to Kristy Watson, the brand’s Chief Marketing Officer, about Erno Laszlo’s retail growth plans, digital transformation strategy and how the brand is resonating in China. Boscia co-creator and General Manager, Lan Belinky, discusses the brand’s retail and market expansion, strategies to meet younger consumers and rebranding. 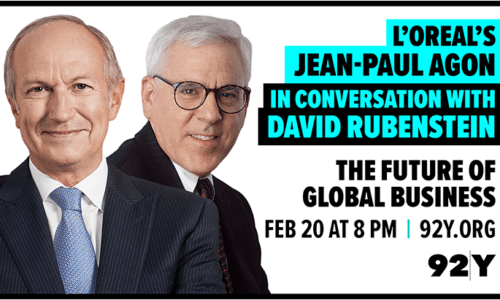 On Wednesday, February 20, Jean Paul will sit down with David Rubenstein to discuss his strategy of universalization, as well as how he runs L’Oréal with the spirit of a start-up, as part of the ongoing 92Y Talks series in NYC. Newly launched CBD retailer Standard Dose has received an investment from LB Equity, an investment firm focused on emerging brands in the beauty and personal care sectors. Andrea Nagel, CEW’s Vice President of Content, reflects on her friendship with Molly, who passed away Saturday, January 26, near her home in Hohokus, New Jersey from brain cancer. Nielsen will share the intel brands need to know about the evolved consumer in order to improve business outcomes and stay competitive at CEW’s State of the Beauty Industry Report 2018/2019 event in Manhattan on February 5. 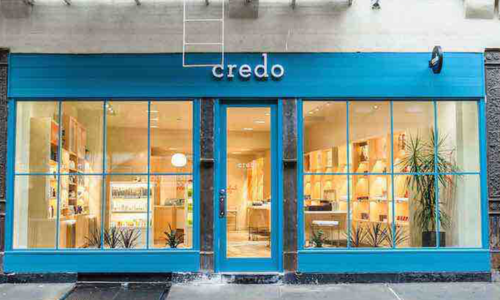 Earlier this month, the luxury retailer announced it would be offering high-end CBD brands online and in select stores as part of its Trending Beauty section. 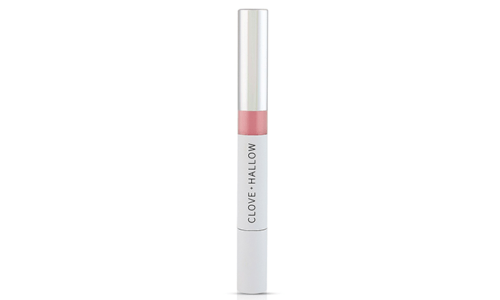 Here, CEW Beauty Insider dives deep into the brands that made the cut. CEW is celebrating 65 years of empowering and recognizing women. Mintel will reveal what will impact 2019 with a presentation that outlines key trends that will shape the Beauty industry, including Sub Zero Waste, Beauty with a Brain and You 2.0. Julie Van Ongevalle has been promoted to Global Brand President, Origins, and Philippe Warnery has been promoted to President, U.K. and Ireland. In this quarterly report from Tribe Dynamics, the company ranks the top beauty brands in earned media performance across major international markets including the U.S., Canada, U.K, France, Japan, Spain and Italy. Standard Dose offers a highly-curated selection of more than 50 hemp-infused ingestible and topical items, including beauty and skin care products. This week’s BeautyScene is all about revamping retail, and how to care for all shades of blonde hair. From Chanel’s new sunlit SoHo atelier space to exclusive brand offshoots at Walmart to Kerastase’s new skin care-inspired hair range, here’s what you need to know now. 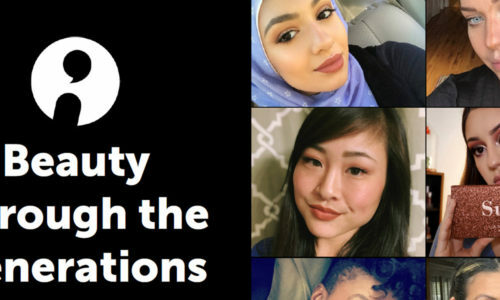 On Thursday, CVS executives revealed how far the retailer has progressed with its Beauty Mark initiative, which asks brands not to digitally alter images in an effort to portray women as they naturally are. Glamsquad’s CEO discusses marketing strategies, upcoming brand changes and her biggest lessons learned. Nathalie will succeed Michel Brousset, who has left the company to pursue personal entrepreneurial activities. 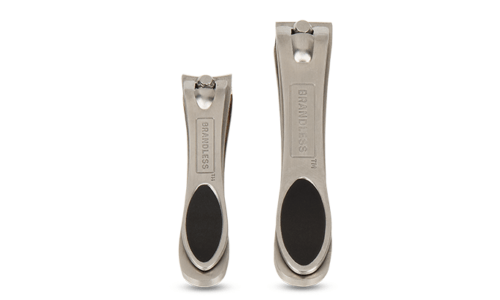 The brand has expanded its product portfolio to include a line of beauty-enhancing ingestibles, exclusive to Target. The founder of disruptive skin care company passed away on Sunday. 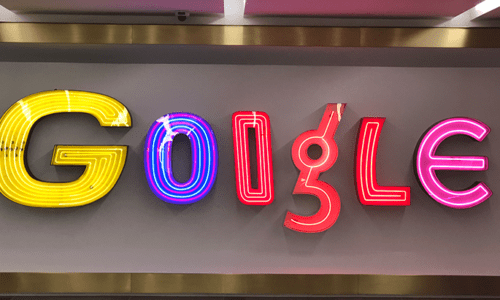 For the first time, Google will be a presenter at CEW’s annual State of the Beauty Industry Report 2018/2019 event, which highlights 2018 beauty accomplishments and forecasts 2019’s big trends. 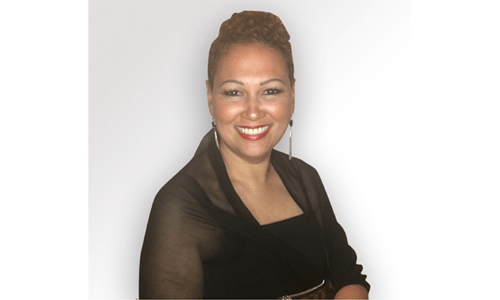 A respected industry veteran, Maria has more than 25 years of experience and was tapped by the company due to her proven track record of executive and organizational leadership, strategic brand vision and innovative retail and digital successes. 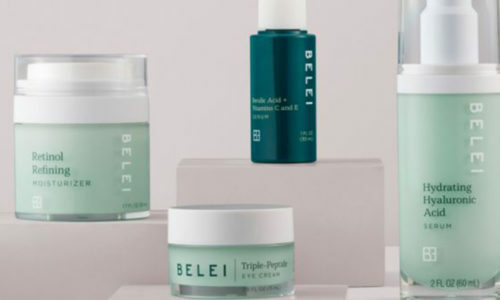 The Dallas-based premier luxury retailer, announced Monday it’s now offering a curated selection of CBD beauty products as part of its Trending Beauty initiative. Discover how consumer behavior is evolving and the 2019 trends with the most impact. Reinold Geiger, Chairman and Chief Executive Officer of L’Occitane, said the acquisition is an important step forward in building a leading portfolio of premium beauty brands. Pierre Laubies, Coty’s CEO, will lead the Consumer Beauty division. Additionally, a series of executive leadership changes have been made to support the company’s ongoing transformation and future growth. In this week’s beauty headlines, Pat McGrath has released the first mascara for her namesake brand’s permanent line up. 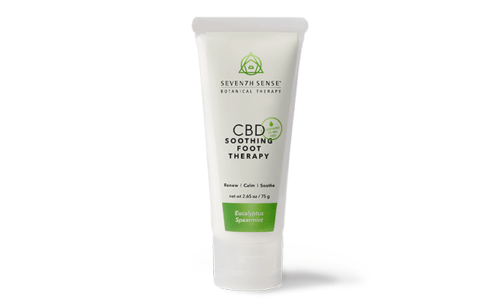 And, footwear brand DSW is entering the personal care market with a line of hemp-derived cannabidiol (CBD) personal care products under the Seventh Sense Botanical Therapy brand. The co-founders of the successful facial shop discusses reinventing the service model in brick and mortar, high-touch personalization and biggest lessons indie brands should know when seeking Series A funding. 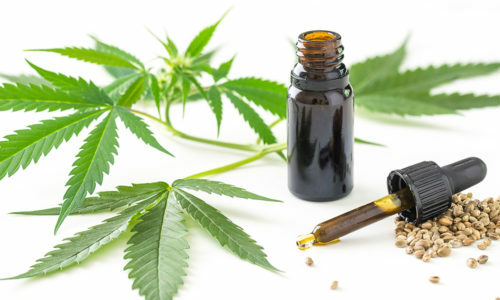 While the coming year is expected to show an amplification of 2018 trends, such as CBD and healing crystals, recession fears may slow performance of the total market as consumers make the move towards more careful consumption, reports The NPD Group. Jean-André joins Sephora after a 12-year role as CEO of Benefit Cosmetics, which is owned by parent company, LVMH. 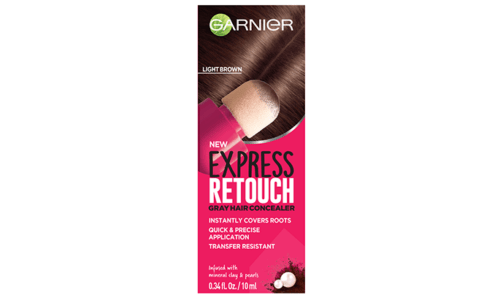 In this week’s beauty headlines, Clairol has released its reformulated Natural Instincts Demi-Permanent Hair Color, which parent company Coty said is the healthiest and most natural hair color available in its portfolio. 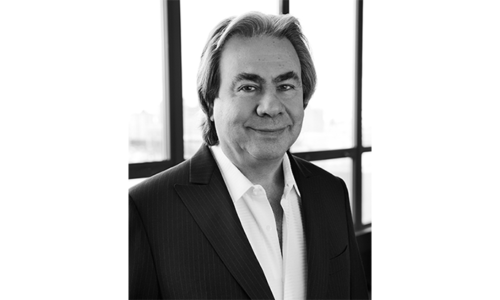 And, Nikos Mouyiaris, the founder of leading contract and private label manufacturer, Mana Products, Inc., passed away this weekend. Healthy living, natural ingredients, social influencers, technology, indie brands, millennials and the rise of Gen Z are key trends shaping the cosmetics and toiletries market, according to this special report by Kline. 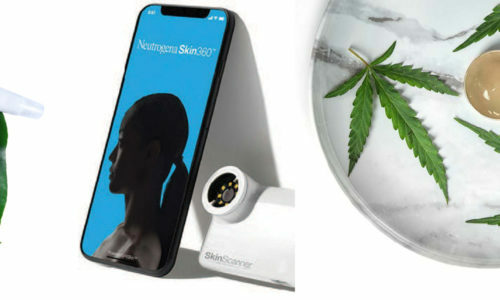 Here, a roundup of a few of the beauty innovations seen at the 2019 Consumer Electronics Show, including Wella Professionals’ augmented reality enabled Smart Mirror, Neutrogena’s new 3D-printed sheet mask, and La Roche-Posay’s wearable sensor and companion app designed to measure personal skin pH levels. 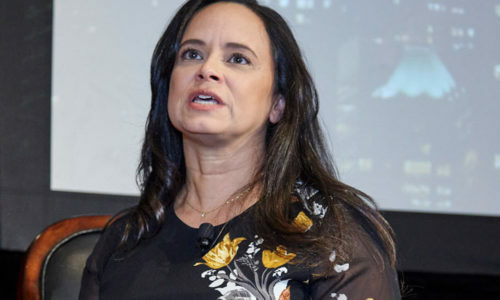 Since being at the helm, a few of Alice’s achievements include the brand reentering Walgreens, and increasing its No-No List from 150 to 500-plus, one of the largest in the mass market. 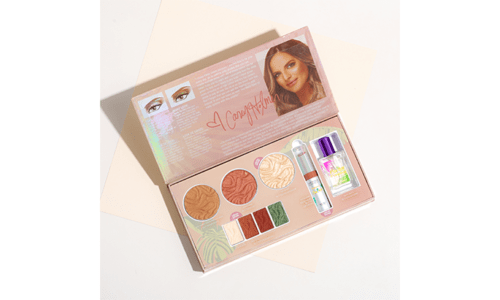 Here, Alice talked with CEW’s Beauty Insider about the changes she’s made at Physicians Formula, product inclusivity, and strategies to reach consumers. Fenty Beauty is gearing up to expand its shade range with 10 new foundation color offerings, and 50 new shades of its new Pro Pro Filt’r Concealer. 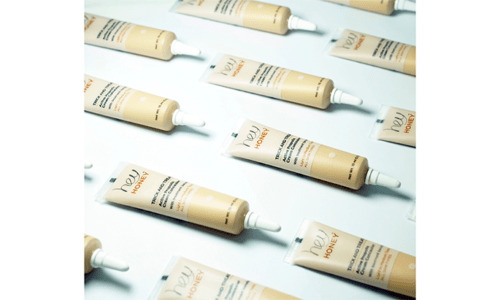 Morphe will be releasing its first complexion product, Fluidity Foundation, in 60 shades. And, Physician’s Formula has tapped Casey Holmes for its first-ever influencer collaboration. In this special report, Tribe Dynamics explores the top 10 hair care brands by EMV from H2 2017 to H1 2018 and analyzes the factors, including trips and training seminars, that helped fuel influencer content creation. 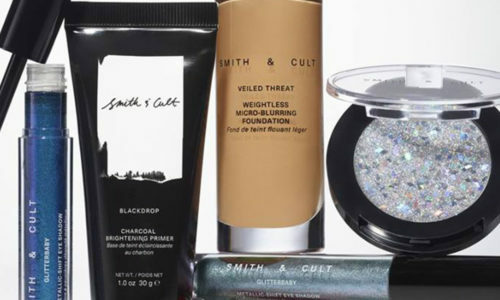 Here, Beauty Insider reviews brands and products from Australia (and neighboring New Zealand) that are fast becoming cult favorites and aim to deliver an Aussie glow. Mintel: Is Fast Beauty Sustainable? In this special report, Mintel analyzes how brands are addressing the concerns of the eco-conscious consumer without sacrificing the pace of innovation. The report also looks at how influencers drive brand awareness and product sales, contributing to the amount of waste increase. In September, Jessica Hanson became the first female President and General Manager for Amorepacific U.S. 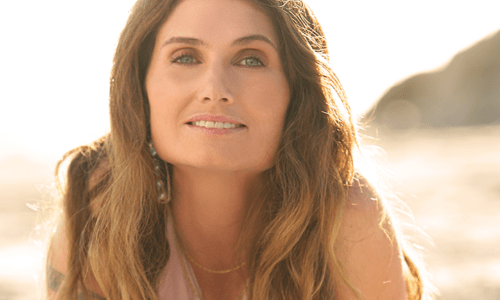 The married mother of two, spoke with CEW’s Beauty Insider about gender equality, selecting brands for the American market and her greatest accomplishments. In this special report, Tribe Dynamics explores the top 10 fragrance brands by EMV from H2 2017 to H1 2018 and analyzes the factors that helped fuel influencer content creation. 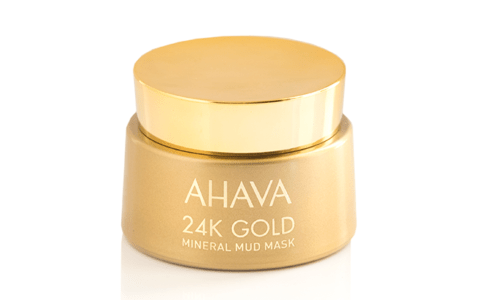 First Aid Beauty is the latest beauty brand to offer a skin care product infused with oil from the cannabis sativa plant, also known as hemp seed oil. Other desksides includes OZNaturals, a cold processed skin care line, and Unwash, a professional co-washing system. 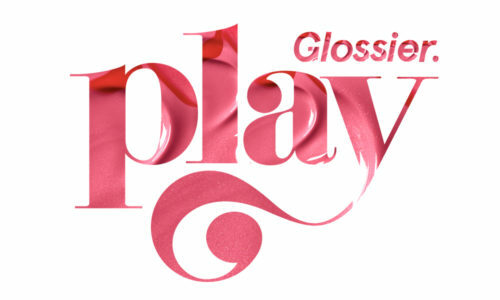 Glansaol’s portfolio includes the Laura Geller, Julep and Clark’s Botanicals brands. 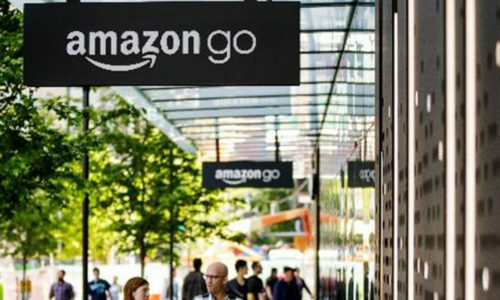 In this special report, Kline takes a tour of some of the retailers who debuted in the Nolita and SoHo neighborhoods of Manhattan, including Amazon’s Spring Street space, Kiehl’s vibrant holiday pop-up shop, and Sephora’s renovated SoHo location. 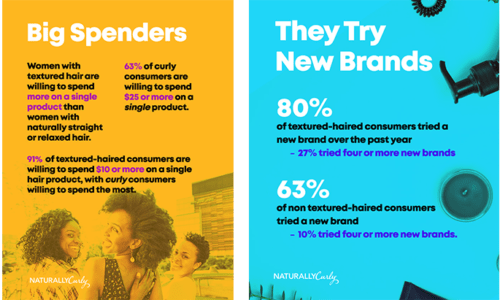 Naturally Curly’s annual TextureTrends consumer insights report revealed key insights about the textured hair category, including consumer retail preferences and purchase behavior. Here, a summary of the survey results. Jen, Marianna and Lauren I have teamed up to create limited-edition Masque Set to keep skin and hair looking fresh throughout winter. The founders found time to speak with CEW Beauty Insider about the recent collab. Here’s what they said. Frédéric talks about his namesake brand’s history, future plans, lessons learned and shares advice for newbies entering the business today. In this week’s beauty headlines, celebrity Hairstylist Oribe Canales passed away at the age of 62 on Sunday. 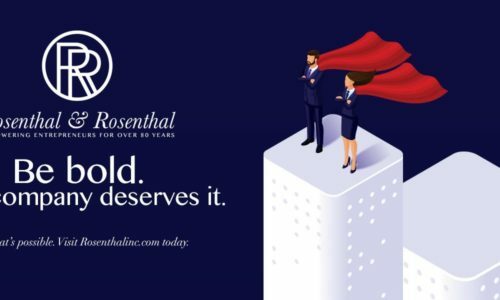 And, NYC-based dermatologist, Dr. Dennis Gross has launched a clinical grade collection, and has hired a new President, Eric Coles, to lead the brand. The cosmetics industry is on the precipice of recession, suggests TABS Analytics’ 5th Annual Color Cosmetics Study. The most impactful result would be a reduction in the number of product launches and M&A deals in the years to come. 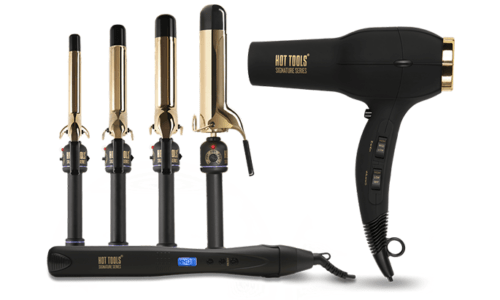 The ultimate on-demand, at-home beauty services provider has launched its own collection of hair styling products. The Premiere Group, a wholly-owned subsidiary of the Perfume Center of America Inc., has acquired the Derek Lam Beauty license, in a multi-year partnership that will see the creation of a premium line and expansion under the 10 Crosby Street Collection. Over 250 million people utilize Pinterest’s platform for inspiration and ideas, making it a great source to identify potential trends. 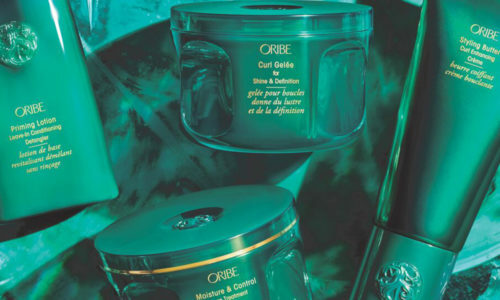 From grey hair to superfood powders, here’s what the company says will be hot in beauty and wellness for the year ahead. More than 150 brand, retailer, public relations and industry experts celebrated the 2018 award winners, selected by WWD’s beauty editor team. Here, the brands, companies and executives honored yesterday morning. The startup, Walker & Company, develops products and services tailored for people of color. 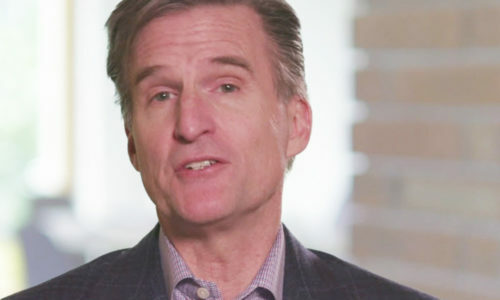 P&G is looking to the merger to help it grow its multicultural business. After several years of soft holiday performance, prestige fragrance sales in the U.S. have experienced strong growth leading up to the holiday season. 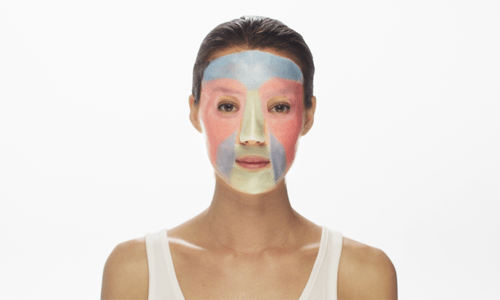 This week’s installment of Beauty Scene is all about skin care and tapping into dermatological expertise. 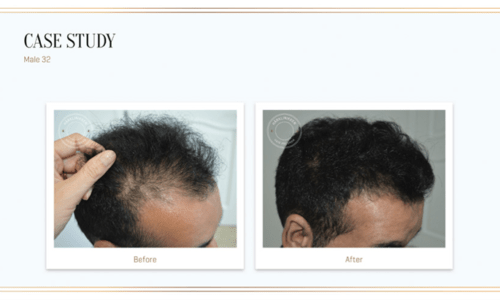 In two cases, technological advances in skin care items are now being applied to hair care. And, at the mass level, L’OréalParis launched a solution-oriented skin care suite of dermatologist-validated products. In this report, Euromonitor explores how technology could redefine consumer experiences over the next 20 years. Emerging concepts include retail outlets shifting into micro experiential centers, at-home robotic assistants, and virtual currency where consumers earn points for spending and promoting fandom on social media. 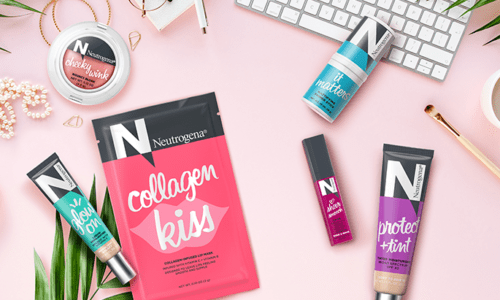 CEW Beauty insider sat down with Katie to learn how the brand is applying AI technology to offer personalized subscription boxes, how the model is evolving and share advice for entrepreneurs. In this special report, Tribe Dynamics looked at influencer skin care content between July 2017 and June 2018 (H2 2017-H1 2018), to identify the top 10 skin care brands and reasons why they were successful. 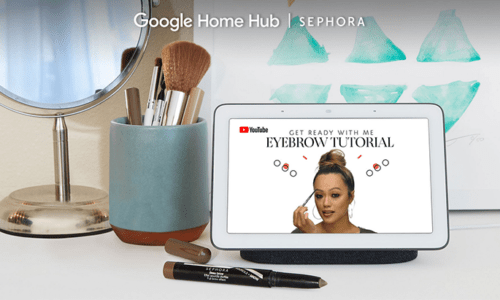 This week CEW Beauty Insider looked at brands that are building strong emotional connections with consumers by leveraging immersive experiences, storytelling and igniting impactful conversations. The roundup includes Chanel’s new NYC pop-up; Joanna Vargas’ expanded fifth avenue location and Dr. Brandt foundation’s inaugural speaker series event at Art Basel. In this special report, Kline shares insights into the key trends driving the professional skin care market, including injectables and toning treatments. The report also explores how the current offerings are meeting consumer needs and includes a summary of opportunities for the market. He will be leaving the digital-first beauty startup to pursue his own business ventures. 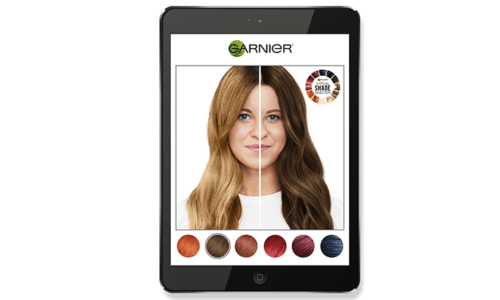 The Clairol Color Expert will be the first at-home hair color Action developed for the voice activated system, which is designed to help consumers with the entire hair color process. 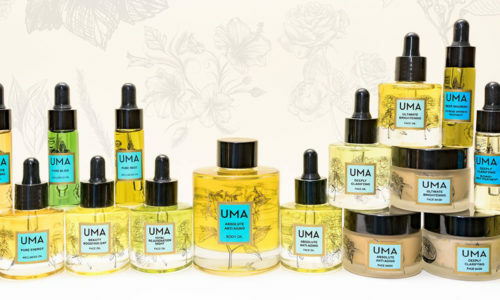 CEW’s Beauty Insider interviewed the co-founder of the clean beauty retailer to learn about educating consumers on the naturals space, predictions for the category, and advice for newbies entering the business today. In this special report, Social Standards analyzed 48 million social posts within the beauty vertical to identify brands, products and ingredients that have been rising in social conversations over the last 3 months with continued growth month-over-month. Marina Maher, CEO and Founder of Marina Maher Communications (MMC), has blazed the trail for successful women in the beauty communications world. Here, Marina’s words of wisdom on how to best navigate the industry. 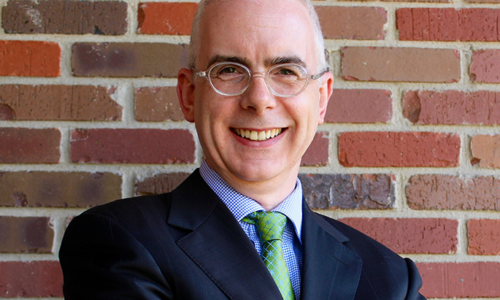 In his new role, Robert looks to strengthen DevaCurl’s position as the leading curly hair brand. 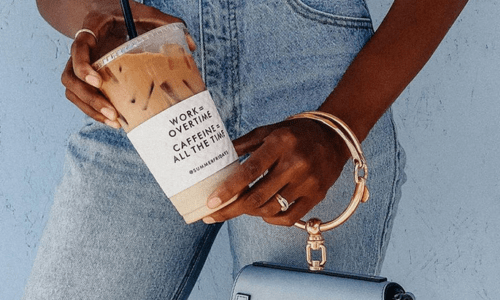 Brands that support the influencer community enjoy more consistent, effective social media engagement, according to a report by Tribe Dynamics. The report details five innovative, proven, and adaptable ways brands can support their influencer communities and generate exciting content. In this survey extract, the company explores three trends shaping beauty and personal care in 2018: the changing perceptions of beauty, men’s grooming habits and the movement towards science-backed beauty products. Jefferies spent two weeks in multiple AsiaPac markets and found core demand for beauty to be robust. Here, the top beauty observations from AsiaPac Markets, including the growing popularity of WeChat and Alibaba, as well as insights into consumer behavior and demand. 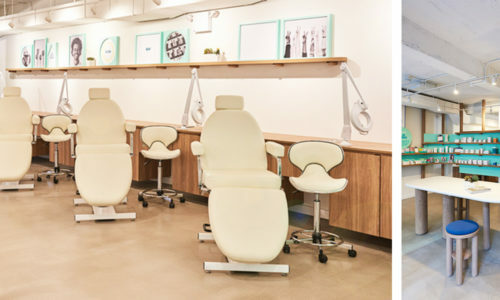 The 540-square foot unit, located on 51 Prince Street, looks to deliver its own label of high-performing products — ranging from skin care, color cosmetics to advanced anti-aging items — all while driving a growing national movement to demand better regulations of the beauty industry. 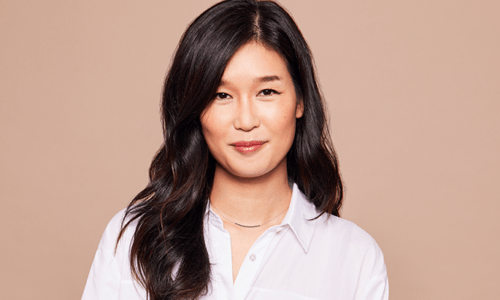 Here, Alicia Yoon, Founder, Peach & Lily, shares three key pillars the e-retailer keeps in mind while navigating beauty innovations. 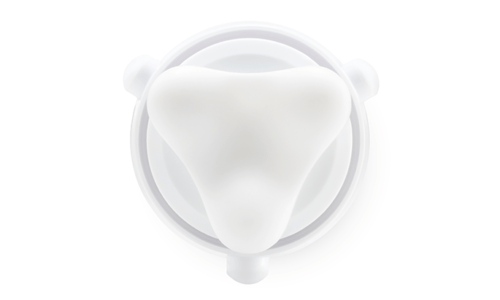 An increasing number of skin care brands are focusing on women’s monthly hormonal fluctuations by creating products that specifically address skin’s changing needs during a 28-day cycle, and more. 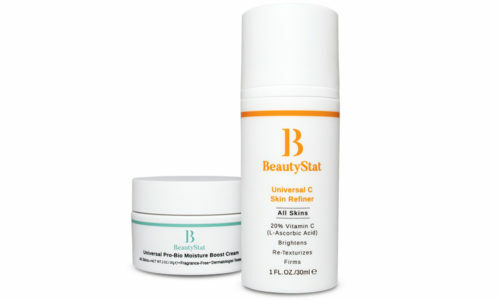 CEW Beauty Insider spotlights a handful of brands that are growing this new category of skin care. In this special report, Trendalytics explores the rapidly changing surgical and non-surgical beauty market and the shifting consumer perception around “getting work done.” The report also takes a deep look at the treatments that interest consumers and the influencers driving this interest. 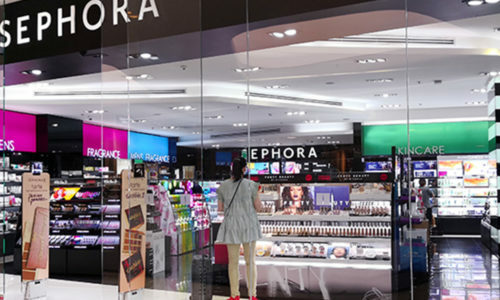 In this special report, Tribe Dynamics analyzes the success of Sephora and Ulta in comparison to other brick-and-mortar retailers of beauty products. 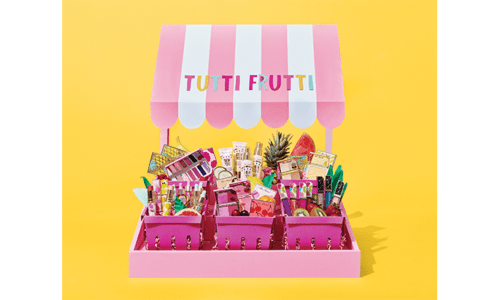 The report also examines smaller beauty retailers, and spotlights several innovative direct-to consumer brands succeeding in the space without a traditional retail partner. 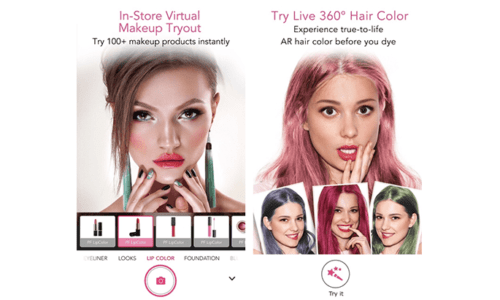 The store, measuring 10,000-square feet, will feature virtual and real-life opportunities to try on and experiment with CoverGirl products. Earlier this week L’Oréal announced several appointments within its Executive Committee. Nugg skin care has created a new cleansing concept, Skin Fizz, a powder that when mixed with water and applied as a mask bubbles and fizzes to clean and exfoliate skin. 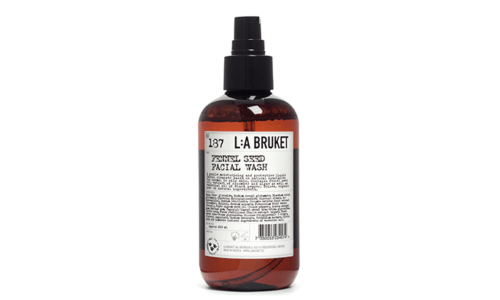 The holiday offerings continue with on-trend sets from L’Occitane, Space NK and Kiehl’s. 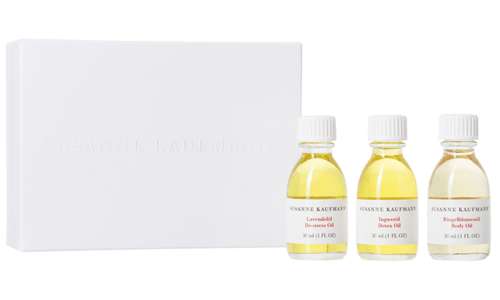 Pop-up shops are still all the rage, with Kiehl’s and L’Occitane opening respective concept stores in SoHo and Midtown, where they’re sharing their wares with harried New Yorkers looking for cute, cultivated gift sets for family and friends. 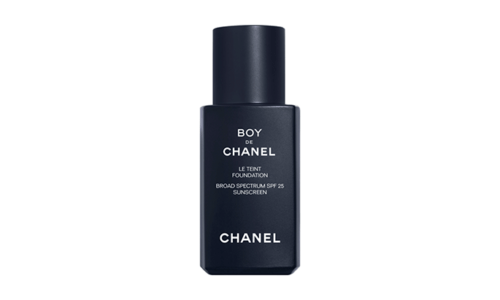 Here, Beauty Insider shares the top trends for holiday for these three iconic brands. 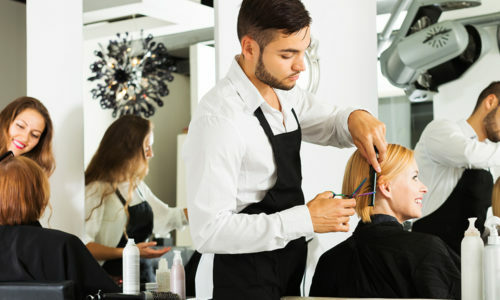 Eva Scrivo Salon, named after its eponymous makeup artist and hair stylist founder, has been steadily re-inventing itself over the past several years to better meet clients’ evolving needs. And in the process, breaking the mold of the traditional salon. 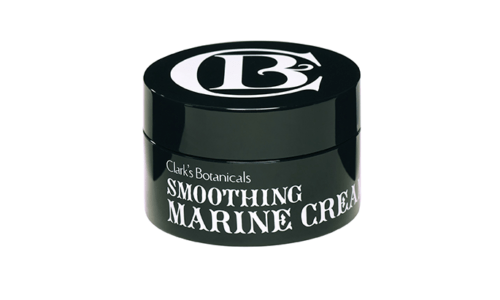 In the mid-Nineties, Marla Malcolm Beck felt that shopping for cosmetics was a problem that needed a solution. 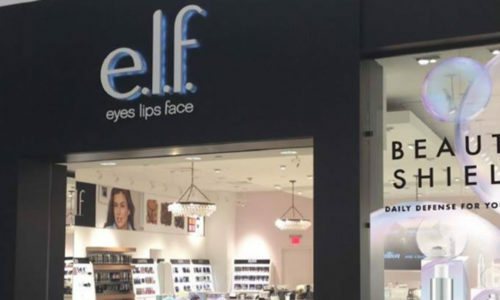 Marla’s answer was to create freestanding beauty stores “where the staff is trained in all brands, is friendly and genuinely wants to help you find the right, personalized solution,” said the CEO and Co-founder of Bluemercury. 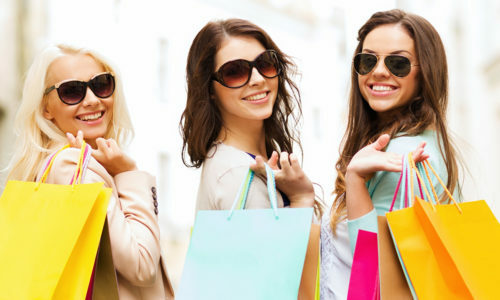 In this special report, Euromonitor showcases eight consumer types that define buyer behavior to help businesses understand what drives each during the path to purchase. 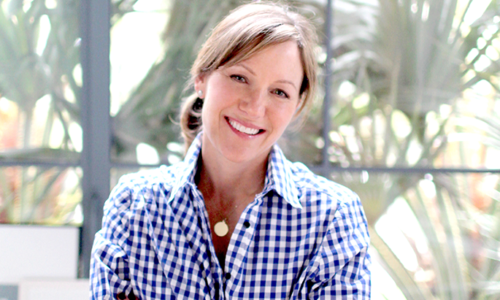 Amber Garrison has been named Senior Vice President, Global General Manager, Bumble and bumble, effective immediately. She will report to Jane Hertzmark Hudis, Group President, and will join the Company’s Extended Executive Leadership Team. 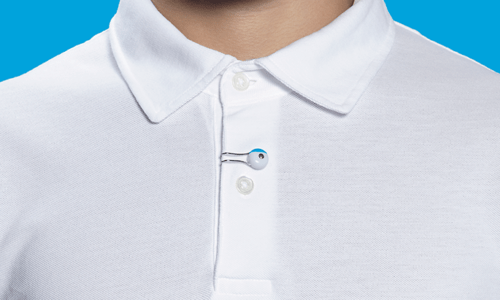 The La Roche-Posay My Skin Track UV sensor is designed to detect both UVA and UVB ray exposure, so consumers can make informed sun-safety decisions. In this quarterly report from Tribe Dynamics, the company ranks the top beauty brands in earned media performance across major international markets including the U.S., Canada, U.K, France, Italy, Mexico and Brazil. The report also provides exclusive insights into trending content, products, and brands for each region. As brands and retailers continue to expand their beauty holiday offerings to encompass each category in a bigger way, here are NPD’s predications on beauty categories positioned to reap the benefits. In this special report, Kline provides a concise update on sales and developments for the brick-and-mortar and offline channels across all key product categories. 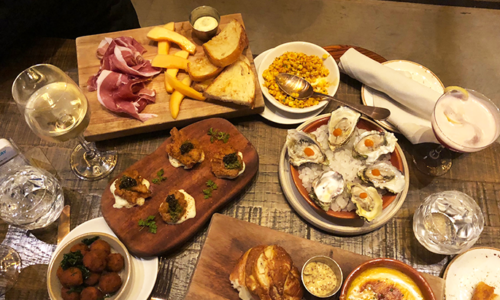 The raise will finance further brick-and-mortar expansion for Heyday in California while continuing to build in New York. 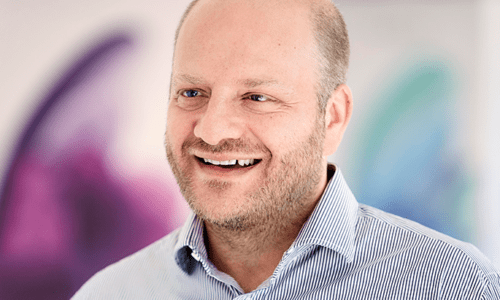 Camillo Pane, current CEO of Coty, has resigned citing family reasons as the explanation for the abrupt departure. The company has named Pierre Laubies as the new CEO, effective immediately. In this special report, Euromonitor explores why holiday shopping is important for the retail industry and identifies the major trends for 2018. Moroccanoil Co-founder, Carmen Tal, and JuE Wong, Chief Executive Officer, talked to CEW Beauty Insider about overcoming market shifts, moving to omni-channel distribution and advice for entrepreneurs. 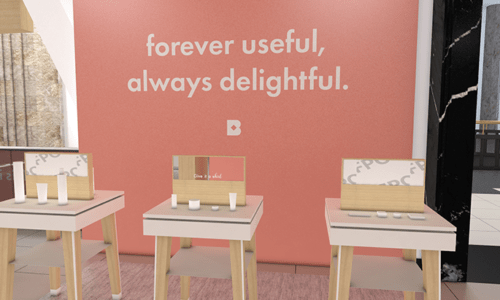 Glossier’s new 3,000 square-foot Manhattan flagship is looking to bring the digitally-native brand to life through an immersive community space by leveraging its proprietary technology. 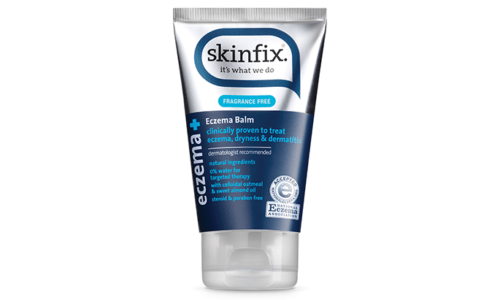 This week’s wrap of what’s happening in the industry, includes the latest details on Fekkai’s purchase of his namesake brand; how Sephora is offering new video content through Google Home Hub; Walgreens new chemical policy; and, a renewed collection of Lifetherapy’s bath and body products. In addition to his current responsibilities, Marc will assume this new role in January, which includes overseeing global M&A for the company, and the newly established Technology Acceleration Hub. Six out of ten consumers plan to shop both online and in brick-and-mortar stores this holiday season, according to The NPD Group. Tina is aiming to change the way consumers use and look at beauty with a zero-waste beauty brand that’s completely waterless. Here, she shares why she saw the need for the brand, biggest lesson learned, challenges and advice for newbies entering the business today. 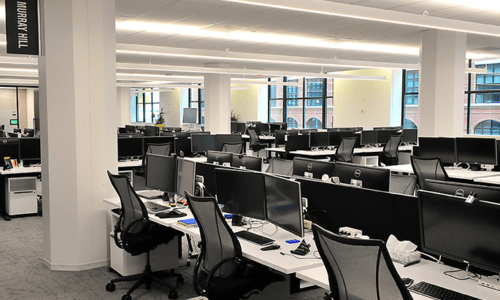 With the new space, Lauder is hoping to secure its footprint in Long Island City, which is positioned to become the next leading tech ecosystem. Coty is hoping opes that by starting with its largest global makeup brand, it will be able to demonstrate the importance of this issue and prove that cruelty-free can be done on a global scale. Here are the Top 10 trends seen at recent holiday previews for mega retailers Amazon, HSN, QVC, B&BW and Walmart. 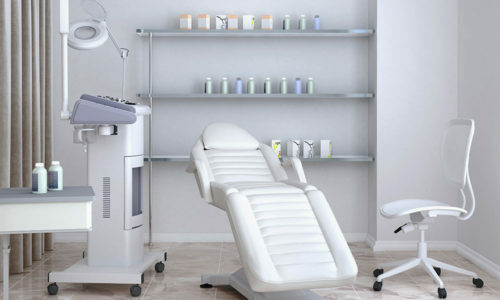 Auckland-based skin care maker and clinic operator, Skinsmiths, is on a mission to give women “skin confidence” all over the world. Here, a report on the brand’s new London stores and plans for 2019. 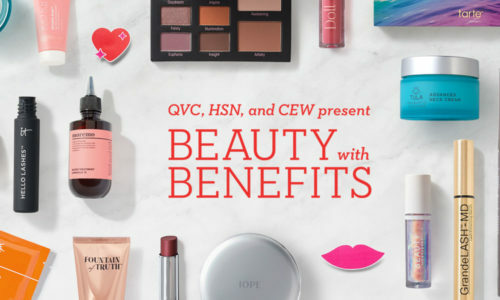 In this month’s new product spotlight CEW Beauty Insider explores the new innovations and marketing strategies several new lines, including correcting booster serums, a hydrating conditioner, a papaya and strawberry seed scrub mask, facial oil drops and a limited-edition eyeshadow palette. 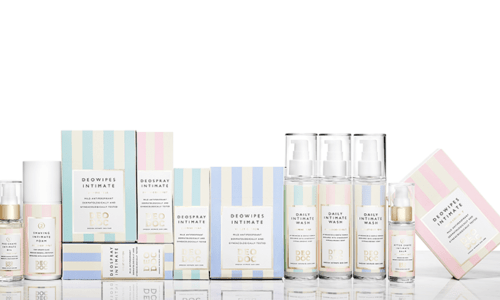 Laboratoires Expanscience, a family-owned French pharmaceutical and dermo-cosmetics company specializing in skin care, has acquired Babo Botanicals, the U.S.-based botanically-infused mineral skin care brand for babies and adults. In the third quarter of 2018, sales of U.S. prestige beauty products were $4.1 billion, a 7 percent increase over the comparable period in 2018. Top growth drivers were skin care globally, the Asia/Pacific region and emerging markets, the global online and travel retail channels, and most brands, including Estée Lauder, M•A•C, La Mer, Tom Ford and Origins. Some of the biggest brands in beauty are busy getting the word out on their launches. Here, the buzz on an in-shower hair sleekening treatment; calming and energizing face mists and an astrologically-inspired lip balm. 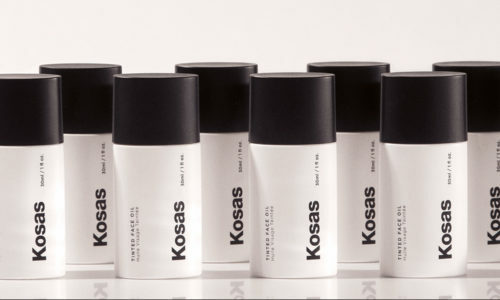 Last week, we learned about a natural deodorant that acquired a 16,000-person wait list and $2m in funding; Hot Tools Professional’s first collection for the mass market; and, a Nigerian-based premium skin care line set to make its U.S. debut exclusively with Barneys New York. Sephora chose an historic theater in downtown Los Angeles as the venue for its 20th anniversary celebration, which was also designed to upend conventional beauty events. In 2017 UK consumers spent £25.1bn on beauty, with this figure set to rise to £26.9bn by 2022UK. These were some of the findings of a report comprehensively mapping the size and scope of the UK Beauty Industry, released by CEW UK and Mintel. Prestige makeup brand, Laura Mercier, is entering a multi-faceted restage as it accelerates global expansion plans to achieve its goal of becoming a Top 10 global makeup brand. 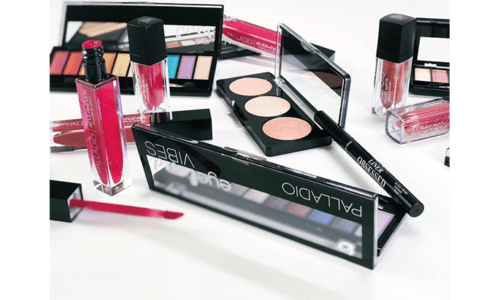 Maybelline New York is planning to introduce an evolution of its DNA to stay competitive with beauty brands that have emerged with strong brand equities such as Fenty Beauty and Glossier. 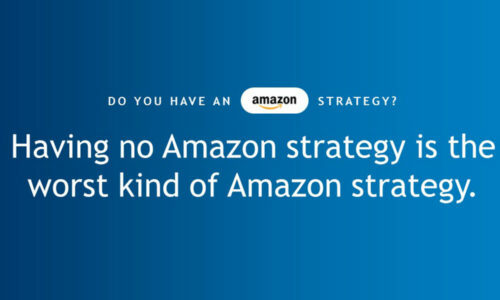 The growth strategies will take place in 2019 and will focus on five key areas. The Co-Founder of the coconut oil-inspired beauty brand talks milestones, challenges, new products and shares advice for entrepreneurs. Without China’s double-digit increases, global beauty growth is likely to be 4% versus 7% from the year prior. 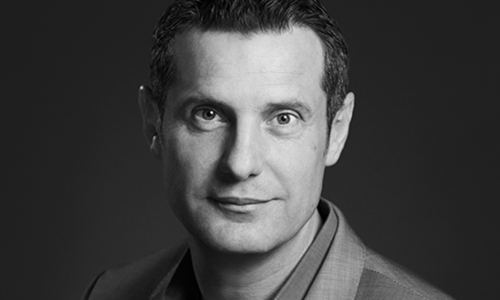 Jeroen has been tapped to lead the global expansion of the brand that lives within Coty’s Professional portfolio. 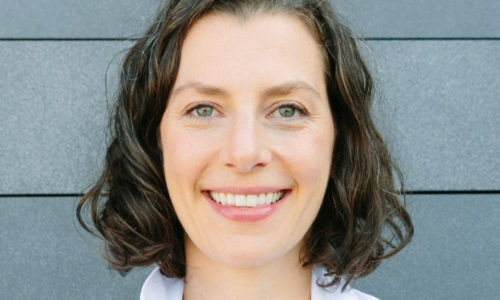 Alisa Marie Beyer, Founder, LemonTree Partnershas identified four key development areas to help entrepreneurs and executives achieve their greatest potential at work and more deeply in their personal lives. 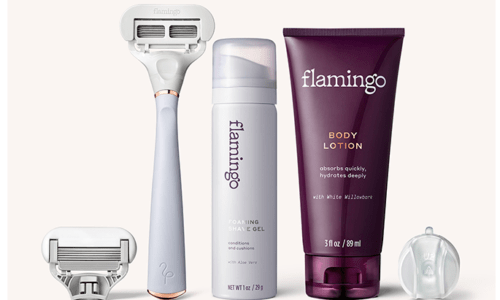 After conquering the men’s shaving market, direct-to-consumer brand Harry’s is taking on the $1 billion U.S. women’s shaving industry with the launch of Flamingo. Today’s feature reports on a hair care brand aiming to change the way people wash and care for their hair; a high-tech company that manufactures smart jewelry for wellness; and, a new millennial skin care brand that harnesses the power of hyaluronic acid. Hello, a privately-owned oral care brand, has grown 300 percent this year. Here, the brand’s founder talked to CEW Beauty Insider about funding, challenges and how the brand differentiates itself in the market. 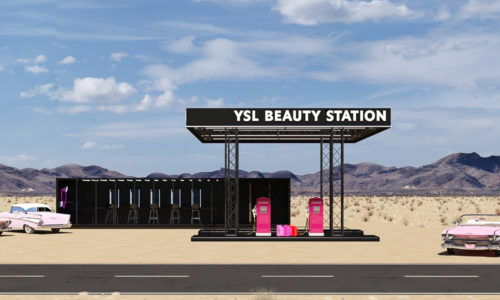 This week’s roundup of brand experiences includes news about Kim Kardashian West’s second pop-up for her KKW Beauty line, Barneys New York’s indie initiative, Rimmel London’s bus tour and Brandless’ temporary NYC brick-and-motor store. Last week, CEW’s Manager of Content, Delia Mitchell met with beauty makeup legend Pat McGrath, as well as emerging indie wellness cult fave, Olly. Here, a recap of what she experienced on the Beauty Scene as fall kicked into action. 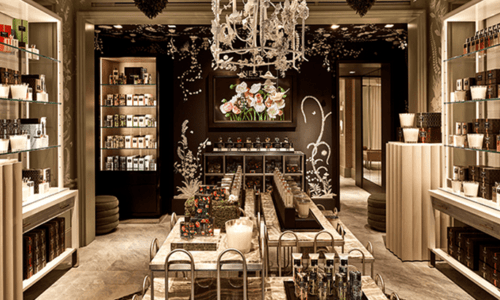 CEW Beauty Insider spoke with Nata Dvir, General Business Manager, Beauty and Fragrances, Macy’s, to get the 411 on the retailer’s new experiential retail concept, Beauty on Display. 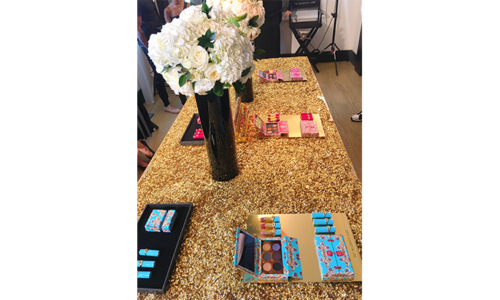 Amber provided CEW Beauty Insider a roundup of what she saw, from a glossy skin-inducing launch at Jergens, to a perfectly-pigmented natural makeup debut from Dr. Haushka to an Instagram-friendly, gilded personal care trio by Scentbird. 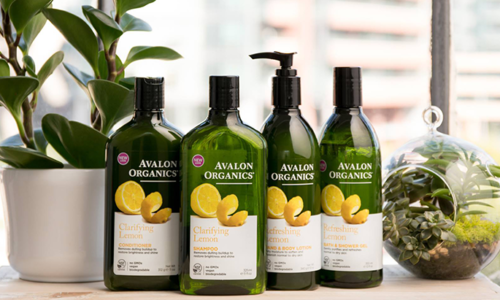 Julie Van Ongevalle, Global Senior Vice President and General Manager of Origins, talks about the brand’s relaunch and biggest opportunities for growth within current trends. A lawsuit filed by The Estée Lauder Companies seeking the removal of Deciem’s Brandon Truaxe from any employment at the company, has been ruled on. 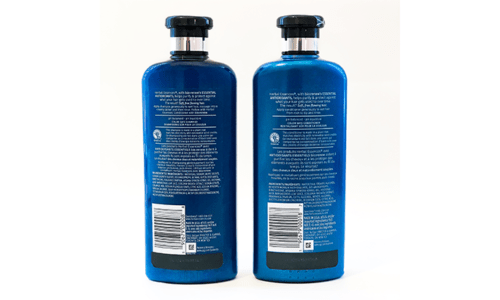 The new packaging will be available on Herbal Essences bio:renew shampoo and conditioner bottles beginning January 2019. All North America marketing operations and functions will report to Liza Rapay in the new Cosmoprof North America office located in New York City. 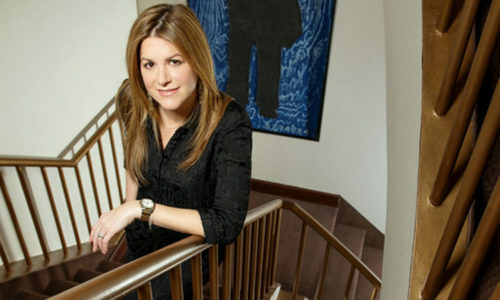 Liza succeeds Daniela Ciocan, former CPNA Marketing Director. 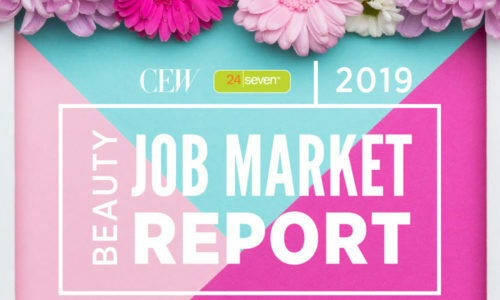 Here, the brands and executives CEW Beauty Insider chatted with over the past week including a company that relies on AI and genetic testing to improve a user’s general health; an app that measures a brand’s influencer marketing I.Q; and, new retail and brand updates happening with Glow Recipe. 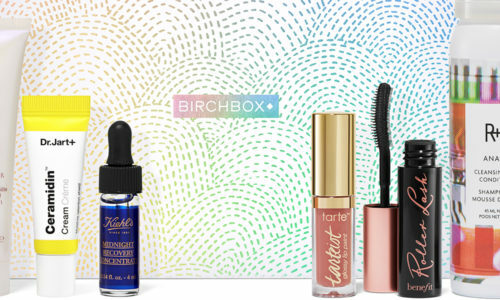 Walgreens’ minority investment in Birchbox could give each company the boost it needs—not only financially but also more customers. 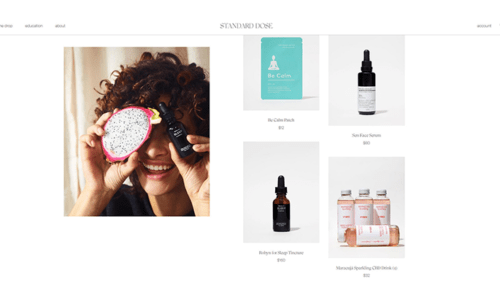 ColourPop’s new sister brand, Fourth Ray Beauty, is a clean, wellness-inspired skin care line owned by Seed Beauty that promises dermatologist-tested formulas, straightforward communication, and accessible price points. The National Retail Federation announced it expects holiday retail sales to increase, reflecting the overall strength of the industry. 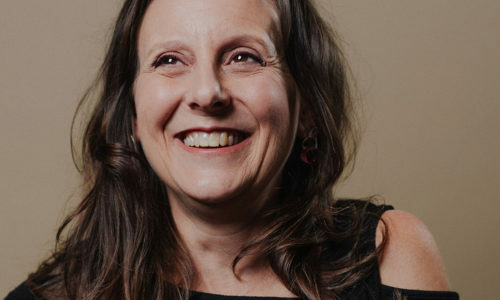 Here, Deanna Utroske, a globally sought-after speaker and industry commentator, maps out a number of brand accelerators that exist to serve entrepreneurs and help engineer brands to compete in this new, dynamic marketplace. Victoria talks about her lessons learned, mistakes and shares advice for newbies starting a business. 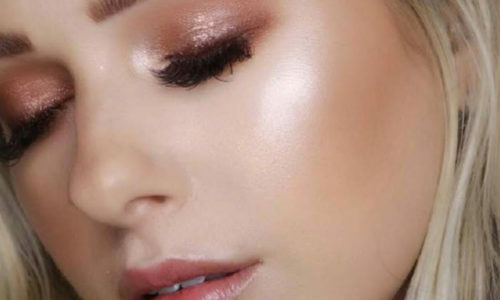 The Co-founder and Chief Creative Officer of Too Faced Cosmetics discusses the brand’s partnership with The Estée Lauder Cos., social media strategy and lessons learned. 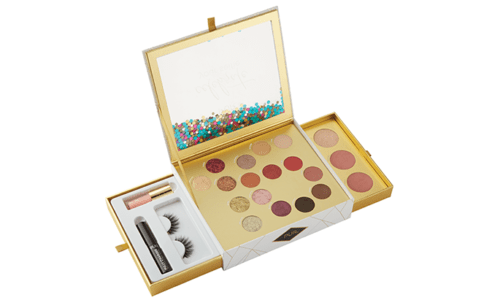 Here, the Top 10 trends we saw at this season’s holiday previews for mega retailers Ulta Beauty and Sephora. In this infographic, InHerSight, Ellevate Network and Mercer’s When Women Thrive teamed up to find out how women’s finances affect their career choices. Lisa will succeed Bob DeBaker, who has lead the brand since 2011. Lauder has also announced the promotion of Andrew Ross who oversaw the acquisition of BECCA and Too Faced. In this special report, The Nielsen Company analyses the top three systemic shifts that will redefine the future of the beauty industry: natural beauty, personalization and digital. 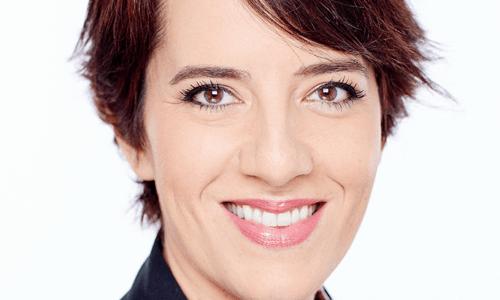 In her new role, Nathalie will use her strategic leadership and digital expertise to drive the growth of the influencer-created color cosmetics brand. The site, which officially launches on Monday, October 1, will serve as a one-stop-destination for companies seeking to produce small quantities of fragrance vials and/or vials-on-card. 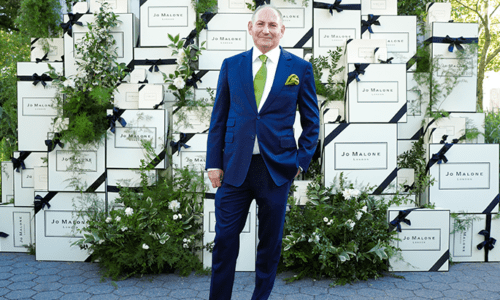 The CEO shares the opportunities he sees for the brand, what it’s like working with Jen Atkin and the biggest business lesson he’s learned over the years. 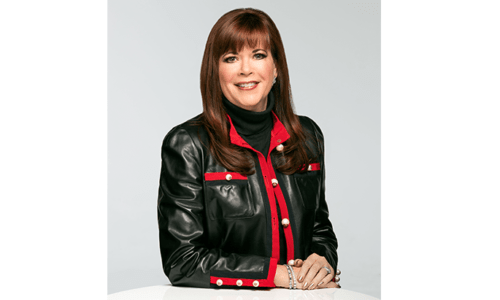 As part of its commitment to continued growth in its home market, The Estée Lauder Companies Inc has promoted Chris Good to Group President, North America and Claudia Benshimol has been appointed Senior Vice President, General Manager, Estée Lauder and AERIN Beauty, North America. In this special report, Trendalytics examines the rise of sustainability, the future of retail, and why now is the time to invest in order to stay ahead of the curve and remain relevant as Millennials and Gen Z come of age. The report also examines key ways for brands and retailers to get involved and impact change. Featuring millennial pink-hued packaging and formulas, the Australia-based brand offers solution-based skin care products made with indigenous ingredients. 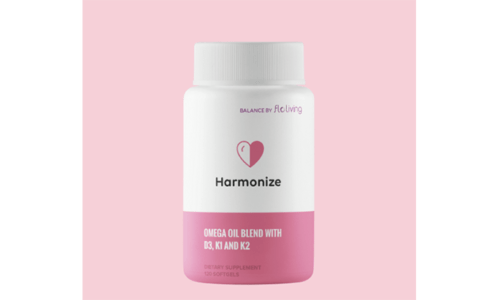 Elle Macpherson wellness brand has opened its first U.S-based flagship store in New York City’s SoHo neighborhood, featuring elixirs and science-backed dietary supplements, as well as an in-house nutritionist and a consulting area. 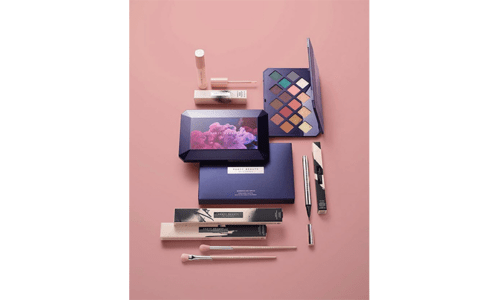 Owned by KOSE Corporation, the number-one selling beauty brand in Japan has released a color cosmetics collection at Saks Fifth Avenue. Top execs share insights on the trends everyone was talking about at MINY, including the ongoing ascension of indie brands, the need for speed, multi-use products, personalization, environmental packaging and sensorial formulas. Five of beauty’s most outstanding female executives were honored. And, for the first time, CEW recognized the contributions of a male leader’s advancement of women with the inaugural MEN-tor Award, which was presented to Marc Rey, President and CEO, Shiseido Americas. 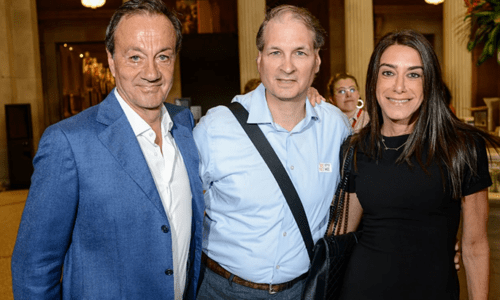 Here, a recap of beauty’s movers and shakers who attended fragrance house Robertet’s private tour of the exhibit, which has become the third most successful exhibition in the museum’s history. In this special report, exclusive to CEW members, The Benchmarking Company takes a closer look at cannabis and how its presence in beauty and personal care (BPC) products is creating a new high in the natural/organic category. Beginning with the October issue of Cosmopolitan magazine, readers can snap a photo of a special QR code to “try-on” makeup looks and shop products. 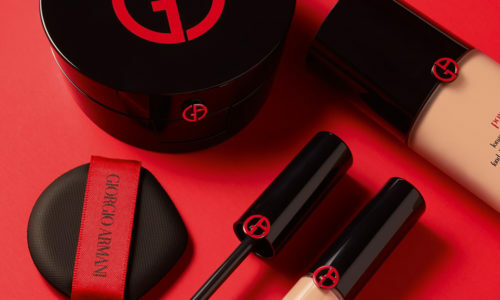 Sephora thinks American consumers are ready to embrace Korean cosmetics, which is why they’re doubling down with a new cosmetics line created in tandem with Memebox, the global K-Beauty platform and brand developer. 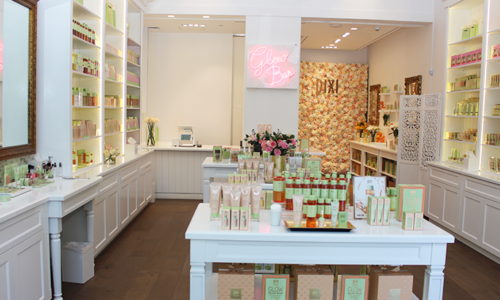 The green beauty flagship recently opened a store in Manhattan. 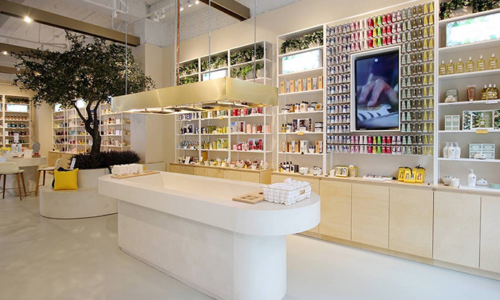 Here are some of the ways the store’s offerings differentiate it from others in the clean beauty space. Here, the meda-influencer discusses some of the tips she learned when launching the now cult-status indie beauty brand she co-founded with Lauren Gores Ireland. Cannabis, and CBD in particular (short for cannabidiol), is one of the hottest ingredient trends in beauty today. 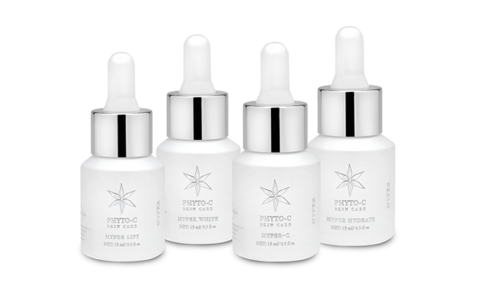 Here, Beauty Insider reviews some of the newest CBD launches. 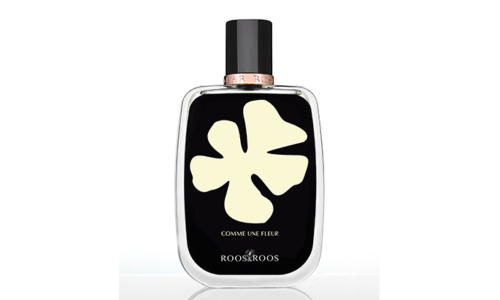 As perfume makers step into the spotlight, the market is seeing a proliferation of perfumers’ scent lines, stores, books and exhibits. 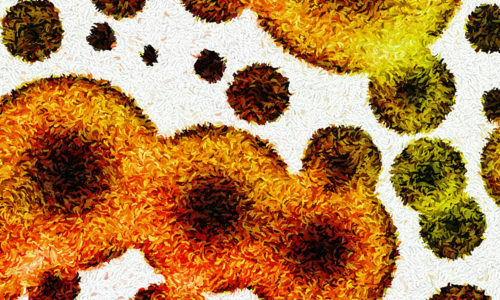 In The NPD Group’s latest post, the firm discusses the evolution of the fragrance market. In the U.K. Anastasia Beverly Hills returned to the No. 1 spot in the Top 10 due in part to an increase in organic interest around its hero Dipbrow Pomade. Over in France, MAC enjoyed buzz from its MAC x Aaliyah Makeup Collection. 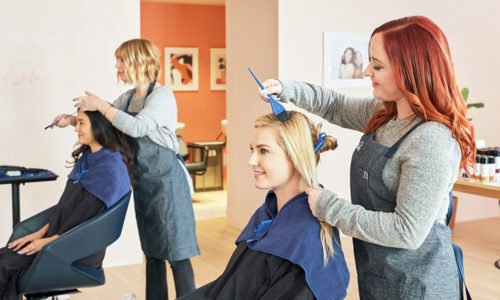 Consumers will now be able to walk out of the mass retailer with bespoke hair color kits from eSalon as part of the retailer’s new Beauty IRL department. New York-based celebrity makeup artist, Mally Roncal, discusses her partnership with Guthy-Renker, biggest lessons learned when launching her brand and advice for newbies entering the business. Here, a list of companies Beauty Insider sees as resources for retailers to expand their product mix. 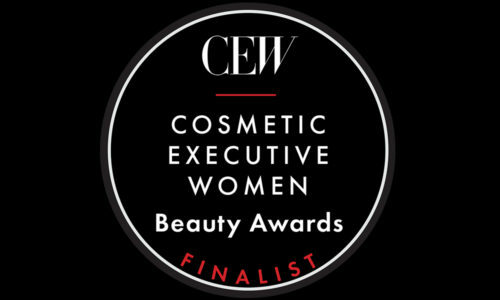 “CEW was founded with a singular vision of helping women in the beauty industry achieve, advance and inspire,” says CEW President, Carlotta Jacobson. 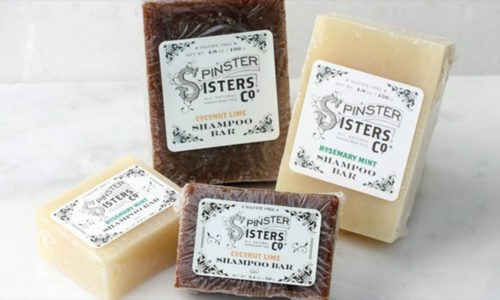 The indie brand is taking exciting steps to grow the brand including the appointment of a new President, new product launches and the implementation of a smart labeling technology to engage consumers in stores. The fragrance house recently unveiled EVE, a virtual assistant designed to aid in new product development. 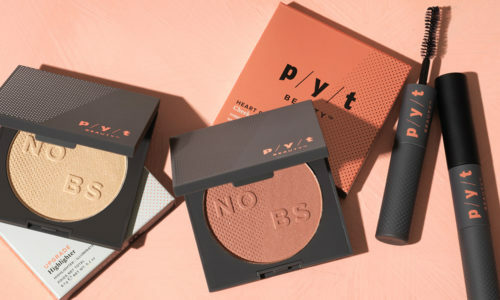 In a 2018 Preen.Me survey, blush was identified as the next big thing. In this report, the company analyzed the social activity around blush vs. contouring to understand consumer behavior, preferences and trends, which can then be used for product development and marketing. The sustainably sourced, natural skin care line is supercharged with extracts and actives from alpine botanicals that are grown in over 6,000-feet of elevation. CEW Beauty Insider recently caught up with Ada Polla to discuss her business, future growth and what it’s like being an indie brand in 2018. 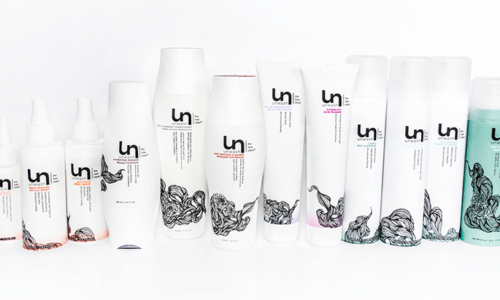 CEW Beauty Insider caught up with NaturallyCurly co-founder Michelle Breyer to learn about the evolution of the textured hair market, including key trends and ingredients. In this week’s 5 Minutes with… CEW Beauty insider met with the famous colorist to get her insights on starting a business, her biggest mistake and words to live by. In this special report, Social Standards, a consumer/demographic analytics platform, analyzed social conversations around cosmetics, skin care and nail trends. CEW Beauty Insider went on a private tour of the store to learn about how L’Occitane plans to redefine the traditional beauty shopping experience with this new interactive space, which includes social media driven installations, a VR experience and interactive testing areas. Challenges within mass beauty continue. From the Time’s Up movement to Forbes’ list of female billionaires, it’s never been more relevant to right wrongs, to push women toward achieving whatever they wish, and to recognize them for their accomplishments. The company posted net sales growth in each major product category and each geographic region. Here, the category highlights. 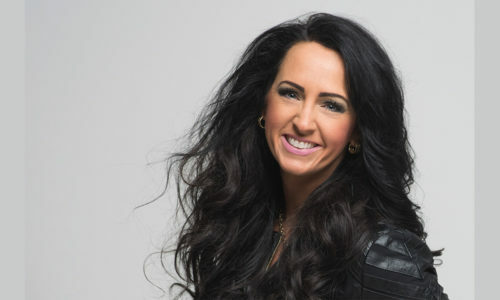 In this week’s 5 Minutes with….CEW Beauty Insider snagged the 34-year-old entrepreneur long enough to answer a few questions about her success. 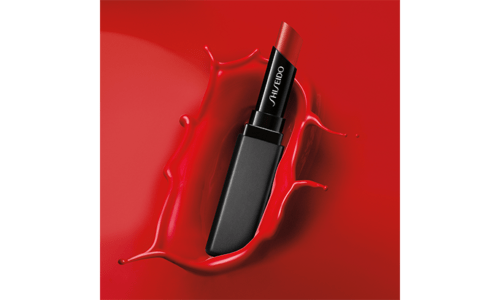 The prestige beauty brand has relaunched Shiseido Makeup by way of four innovative, sensorial textures for face, eyes and lips. While makeup and skincare have thus far been changed to the greatest extent because of social media, the hair care market is joining in, according to The NPD Group’s latest blog post. Colorlab by Watsons, a new concept makeup store developed in partnership between L’Oréal and A.S. Watson, has opened in China, with plans to roll out an additional 50 stores later this year. CEW Beauty Insider has identified 10 mom influencers who aren’t exclusively beauty focused, but who have a foothold in the category. Here, their followers by the numbers and why they’re attractive potential partners for brands. After securing $18.6 million in funding during the spring, the move is part of the company’s plans to establish itself as a destination for all things beauty. This year Drybar’s 100-plus locations and products generated more than $100 million in revenue. Here, Alli answers burning questions about her rise to success. 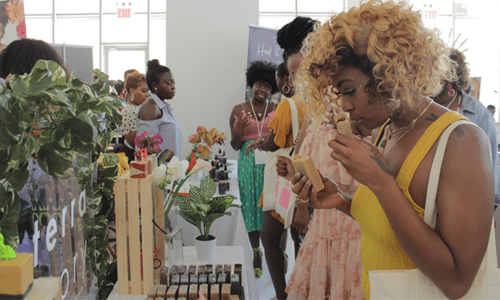 The intimate tradeshow experience connects press, retailers and multicultural consumers with indie brand founders for a full day of shopping, networking and live demos. Here, a recap of brands seen at this year’s show. In this special report, Kline reveals the top beauty products based on their ranking among best-selling product listings, customer ratings, prevalence and duration on the charts. In addition to winning products, the report also includes an analysis on top trends and noteworthy brands to keep an eye on. 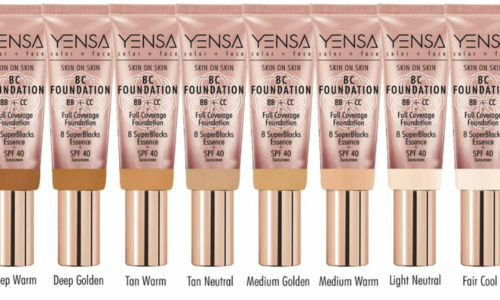 As summer slides by, certain products stayed high on beauty’s radar. 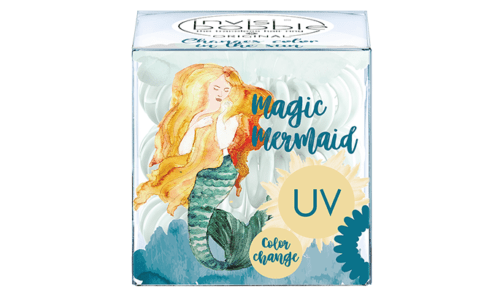 This month, CEW Beauty Insider calls out brands putting their efforts into masks, body lotion, nail polish and a hair color spray that packs a punch. 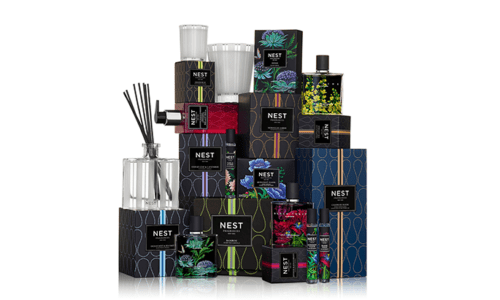 This month NEST Fragrances, founded by Laura Slatkin, celebrates its 10-year anniversary. Here, Beauty Insider chatted with Laura about advertising, inspiration, new launches and what’s next for the company. With Hawaii is set to become the first state in the U.S. to ban the sale of sunscreen chemicals that are toxic to coral reefs and marine life, internationally COSMOS-certified brand Love Sun Body is aiming to become one of the top sunscreen brands in the next 5 years. 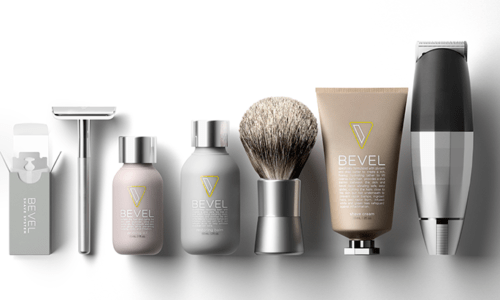 As trends and consumer attitudes change, the personal care category needs to evolve to remain relevant and the shaving sector is no exception. In this special report, Mintel explores how brands can transform and revitalize the shaving category and what opportunities lie ahead. 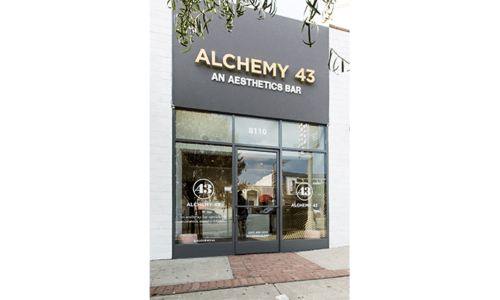 The LA-based aesthetics bar is opening two new storefronts in its home market with plans to expand the concept to New York City, Orange County, Dallas, and the San Francisco Bay Area. The beauty e-tailer unites cause, commerce and community by empowering customers to give back to the charity of their choice, at no extra cost. 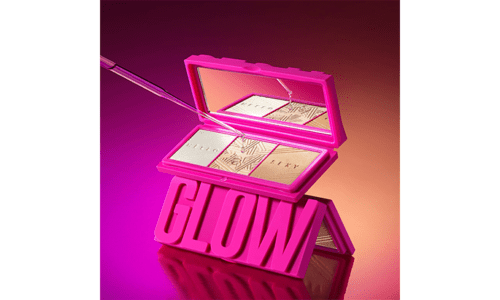 Following the massive success of their sold-out collaboration last year, the color cosmetics brand and social media star is back at it with another product. 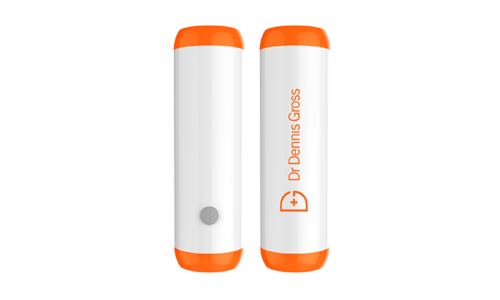 A leader in the device category, the brand has redesigned its best-selling hand-held skin care devices to be even more ergnomic, tech savvy and effective. 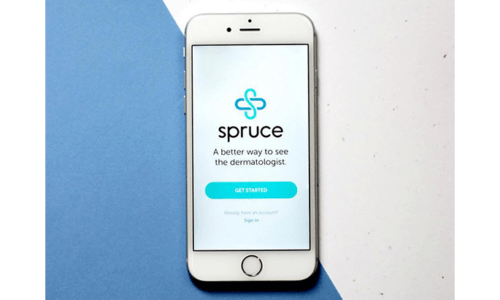 The brand unveiled a newly formed coalition comprised of top California-based doctors who specialize in various skin-health related practices. 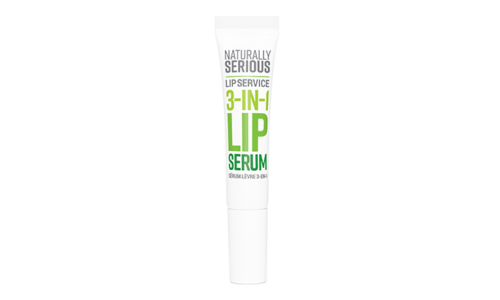 The trio will be tapped to test, curate and provide expert advice on beauty regimens. 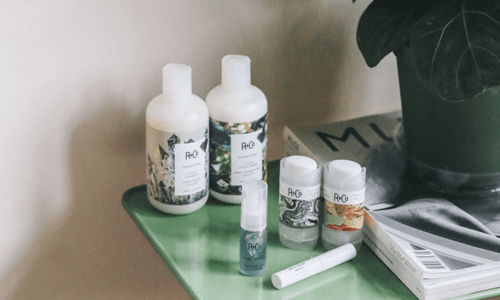 The natural skin care brand is the brainchild of industry veteran June Jacobs and her daughter Rochelle and was developed in collaboration with Sephora. The brand has debuted a full relaunch which includes new packaging, a streamlined assortment and targeted communications plan. The actress is the star of a new campaign video for the brand’s La Vie Est Belle fragrance. Click here to watch a preview of the film. 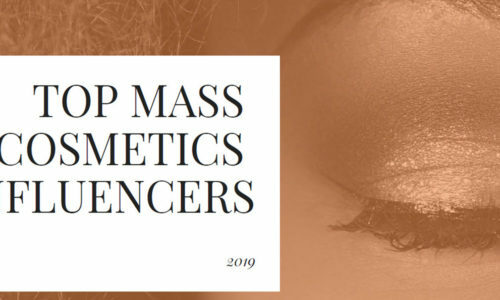 In this special report, NPD examines consumers’ perspective on the makeup category and how and why women use makeup, what are their shopping behaviors and purchase influencers, and how to leverage brand awareness and buyer perceptions to capture bigger sales. 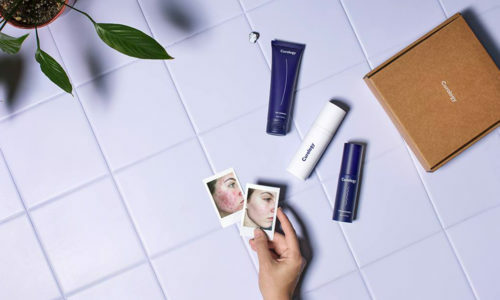 L’Oréal announced the acquisition of two specialized beauty companies, Logocos Naturkosmetik, a natural cosmetics brand, and Société des Thermes de La Roche-Posay, the dermatologically-endorsed skin care brand. 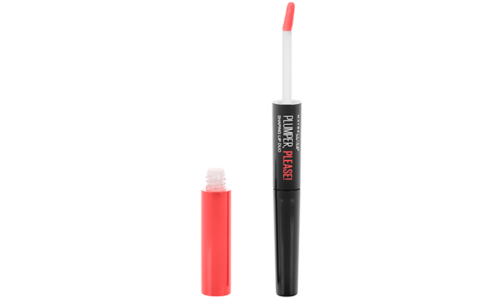 Looking to change the shade game is UK-born brand, Dr. 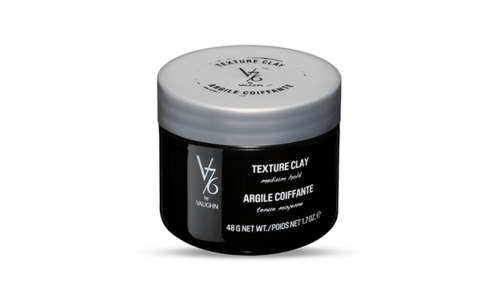 Craft, an upcoming range of hair products and semi-permanent hues that utilizes natural ingredients to offer vibrant and safe results. On Day 3, the CEW learned about the growth of indie brand, Alchemie Forever, and met with Euromonitor International to talk about global trends. Other highlights include mass and prestige insights, and the right way brands should talk to consumers about aging. On day 2 of beauty’s biggest tradeshow, the CEW team learned about ingredient, retail and product trends. 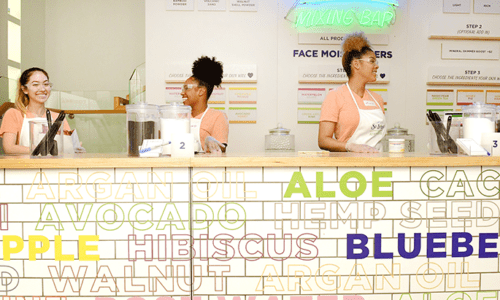 Highlights included getting an inside scoop on Algenist’s Q1 launches, a stop at ingestibles brand Vital Proteins, and a visit to Sweat Cosmetics, a beauty brand is taking the active trend by storm. Skin care continues to outpace makeup, with the biggest driver for the segment remaining consumers’ interest in wellness, clean ingredients and natural brands. Day One of CPNA checked all nervousness and excitement boxes, and included a meet-and-greet with Paris Hilton to celebrate her new skin care line; a glimpse into new product and consumer trends; and, a dinner stop was Andrea’s, an Asian Fusion restaurant tucked inside the Encore Hotel. 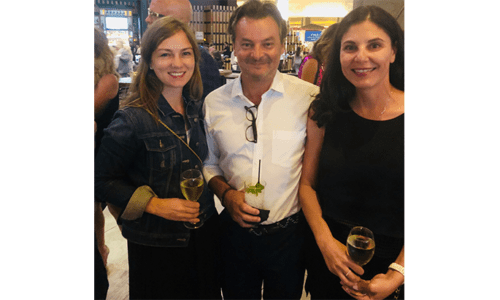 CEW landed in Last Vegas this past weekend to observe and report on the country’s largest beauty trade show, to share Who We Saw, What We learned and, yes, Where We Ate. Here, a day-by-day digest of what we saw, learned and consumed. After more than a decade of dominating the makeup tools space and reinventing the category, BeautyBlender is entering color cosmetics with a foundation available in 32 shades. 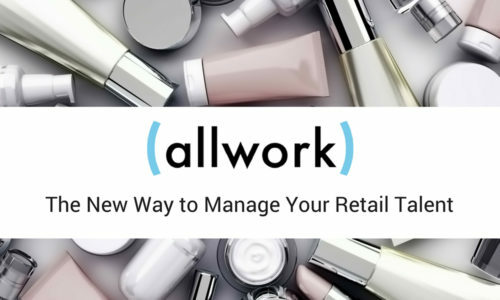 In this special report, Askuity, a retail sales enablement platform, shares strategies and tips on how to get, stay and succeed in the beauty giant. Fenty Beauty’s 40 Pro Filt’r Foundation shades ushered in a new era in inclusive beauty. 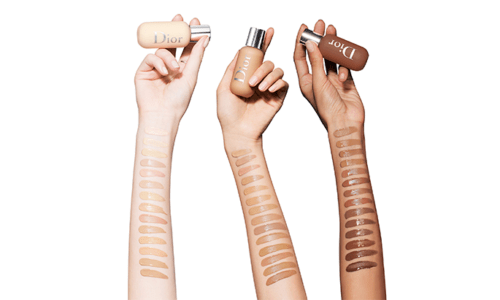 Here, CEW Beauty Insider rounds up some of the latest shade-inclusive brands, from prestige to drugstore, offering 40-plus shades, the unofficial ‘threshold’ number for inclusivity. In this infographic, The Benchmarking Company shares survey results on which types of claims matter to consumers, the products benefiting most from claims and more. 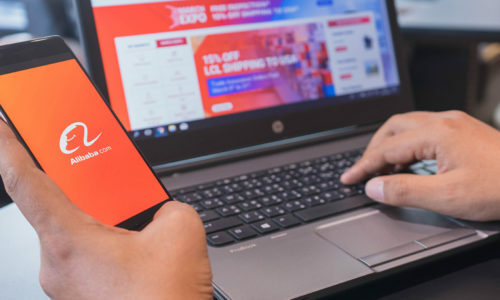 The store employs Alibaba’s “New Retail” business model, which utlizes interactive technologies from Tmall, with the goal of making shopping easier and more appealing. Meet Shoval Shavit Shapiro, an Israeli-born artist and innovator, who several years ago embarked on a journey to bring the concept of Visual Fragrance to life, whereby someone would not just smell fragrance, but see it on their body. 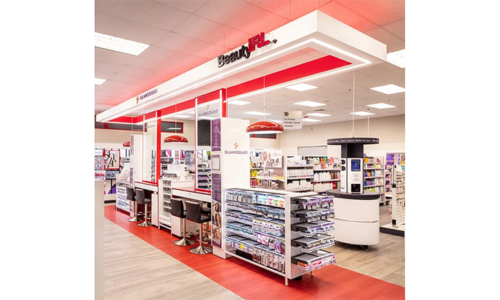 With a tiered approach that links an aggressive brick and mortar roll-out strategy with ramped-up salon services and unique cross-category exclusives, Ulta Beauty is looking to cement itself as the modern woman’s go-to beauty retailer. 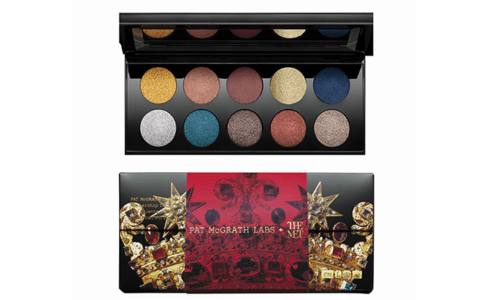 Indie super star and makeup artist extraordinaire, Pat McGrath, has selected Eurazeo Brands, a leading global investment company, as a minority shareholder in the company. 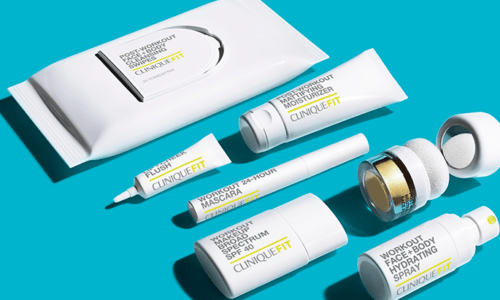 Starting this September, the brand is going to help dermatologists add a new tool to their skin kit: customized product creation. 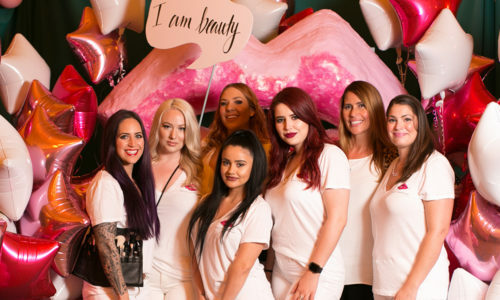 Here, Beauty Insider spoke to Amy about growing the brand that industry sources estimate generates more than $25 million in sales. 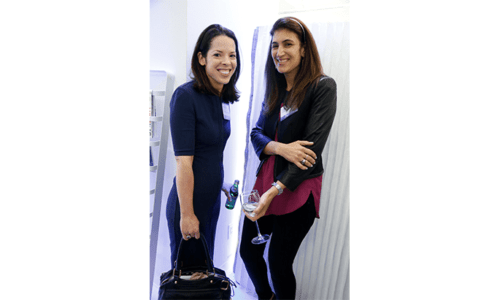 At CEW’s recent event, Google’s Ericka Mendez, Global Insights Manager of Beauty, and Charlotte van der Smeede, Beauty Brand Lead, shared best practices on developing impactful content, leveraging influencers and managing a YouTube channel. Here, some insights from the evening. Here, Francesco speaks with Beauty Insider about transparency, good story telling and the perks of being an underdog. 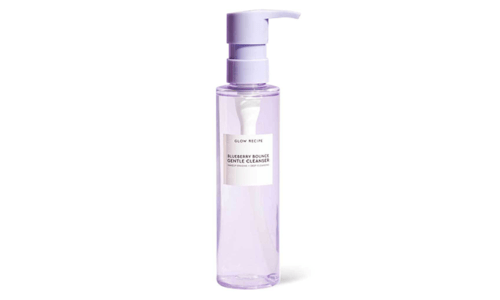 Rose Pilato has joined the Korean beauty firm’s newly-created Luxury Division, which includes AmorePacific, Sulwhasoo, and niche fragrance French brand, Annick Goutal. Kylie Jenner, the youngest sister of the Kardashian/Jenner reality show clan, appears on the August cover of the business magazine, an issue celebrating America’s female billionaires. 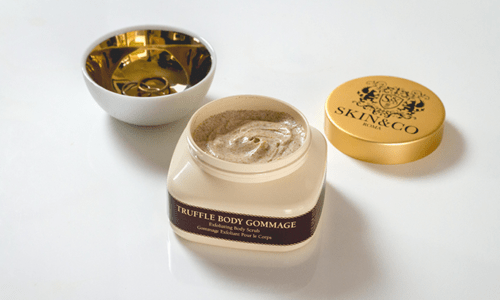 The Italian skin care brand, steeped in truffle farming heritage, adapts its brand-building strategy to keep pace in a rapidly-evolving marketplace. In both the U.K. and France L’Oréal Paris received a boost from its influencers engagements at the Cannes Film Festival. Additionally, France’s Top 10 list saw a newcomer, Kiko, which made its debut thanks to prolific content creation from vloggers. The six-piece line, Marmur Metamorphosis, focuses not on “fixing” an issue, but rather working dynamically with the skin to optimize its natural mechanisms. 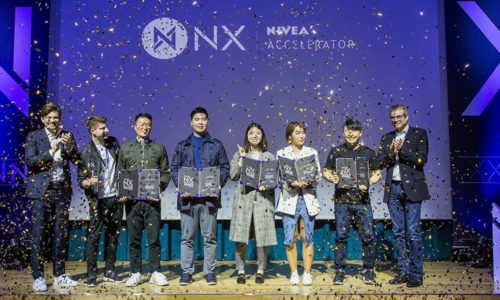 SVBeautyTech, Silicon Valley’s first independent and fully immersive beauty acceleration program, has selected nine beauty tech startups for its inaugural program, which offers mentorship to high-potential startups. According to Bloomberg, Macy’s spokeswoman Blair Rosenberg confirmed that the company will open 25 freestanding Bluemercury stores in 2018, and 30 freestanding stores and locations within Macy’s stores in 2019. Technology has allowed consumers to gain more knowledge about the production of their beauty products. Marcia Kilgore, Founder, Beauty Pie, explains the impact. Because consumers have so many choices, they want to align themselves with brands that match their personal values, explains Molly Landman , Global Brand Director, Love Beauty & Planet and ApotheCARE Essentials, Unilever. Consumers are beginning to hold brands accountable for their sustainability practices, explains Shane Wolf, Global Manager for Redken, Pureology and Mizani, L’Oréal. 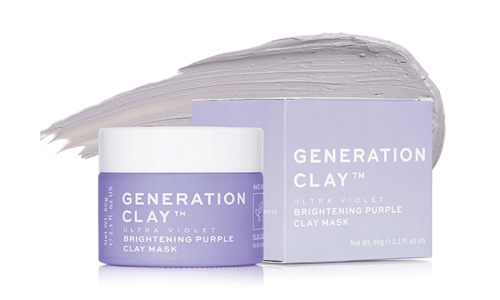 The company, which makes natural, medicinal-grade skin care products, discusses how it markets its brand to Gen Y and Z consumers, as well as three new product launches to be released this fall. 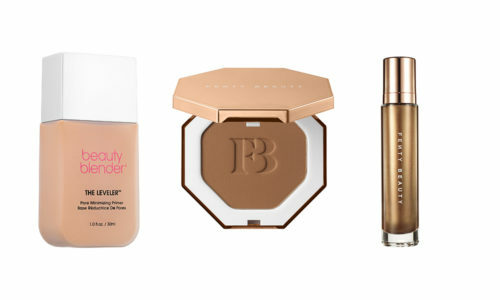 Beauty Insider uncovered summer’s hottest makeup, skin care and men’s launches. Shane Wolf , Global Manager for Redken, Pureology and Mizani, L’Oréal, discusses the internal creative process at L’Oréal, how long it took to take Seed Phytonutrients from ideation to launch, and future goals for the brand. CEW Foundation’s Cancer and Careers National Conference on Work & Cancer kicked off a daylong event that drew cancer patients and survivors, caregivers, healthcare professionals and employers in an effort to provide guidance, offer practical tools and relay advice related to balancing work with a cancer diagnosis and recovery. CEW’s Beauty Insider rounded up a handful of apps that are transforming mobile devices into personal wellness consultants. The Perfect V, a beauty skin care collection for the bikini area, has turned a year old. Here, an interview with the founder, Avonda Urben, where she discusses plans on growing the business over the next three years. Three pop-up stores, covering multiple boroughs, will give NYC first access to the heavily-teased new Moroccan Spice collection as well as the full Fenty Beauty assortment. 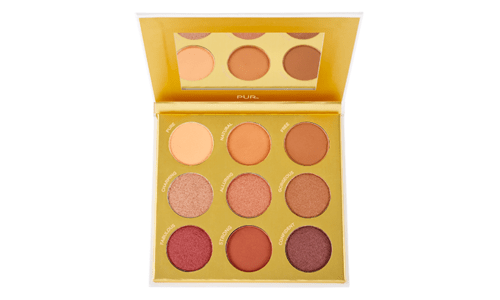 For its first color cosmetics debut, the skin care company has released a highlighter pallet infused with skin-loving ingredients. 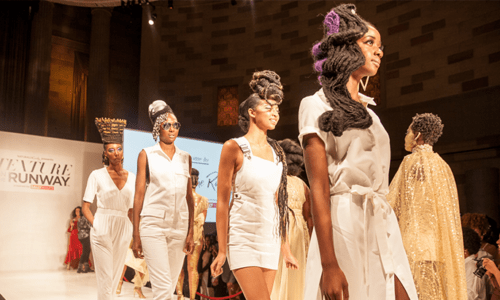 Here, an overview of not-to-miss programs at the upcoming tradeshow, which is expected to draw over 36,000 global attendees and 1,200 B2B beauty exhibitors. Soyoung Kang has joined the company as Chief Marketing Officer. Her appointment comes on the heels of several other senior hires in digital, e-commerce, public relations, influencer marketing, finance and HR. Beauty Pie’s Founder, Marcia Kilgore, discusses how she started the new business model, meeting goals and her biggest learning when launching the business. 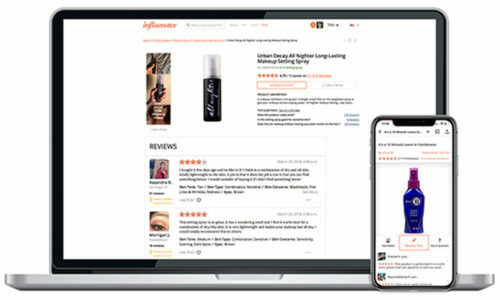 The new technology is aiming to merge the in-store product testing process with the convenience of online shopping, by providing the brand’s website visitors the ability to virtually try on its makeup offerings when they click to purchase. According to Manhattan dermatologist Dr. Gary Goldenberg, a topical treatment targeting sweat glands has been upgraded to a wipe, and is currently under FDA review. 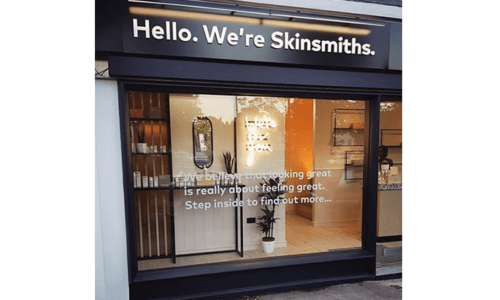 The three-month long retail pop-up experience offers consumers the ability to shop, test and purchase products from the St. Ives skin care brand. This year, the experience has been extended online to give consumers nationwide the opportunity to order products featured in the store. 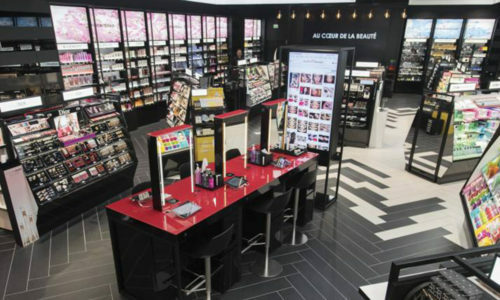 French supermarket chain, Casino Group, has partnered with L’Oréal France to launch a beauty and well-being store concept in Paris in the face of ever-increasing online competition. On Tuesday, June 19, CEW hosted an event at Facebook’s Manhattan office to gain insights on how brands can increase followers, drive engagement and master Instagram Stories and Instagram Live. Here, the top tips shared by the panelists. In 2017, 90 percent of all beauty and personal care retail sales in the UK were store-based. In this special report, Euromonitor International assesses how changing consumer behavior has led retailers to reassess their physical estate and use their spaces space more creatively, with an emphasis on experience. The investment will help enhance the social media powered brand’s e-commerce growth and international expansion. 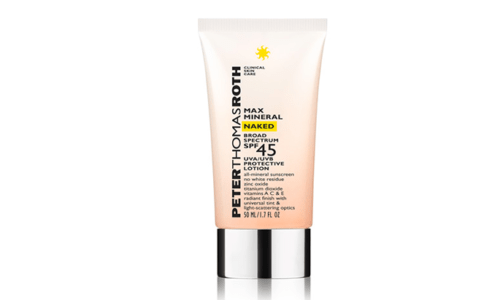 The award was presented at The Battery Conservancy’s annual gala, which celebrated the beauty firm’s 15th consecutive year of support of the historic parkland’s revitalization efforts. Molly Landman, Global Brand Director, Love Beauty & Planet and ApotheCARE Essentials, Unilever, discuses how the need for its smaller, transparent brands was identified, as well as the development process, timeline and her biggest learning bringing the brands to market. 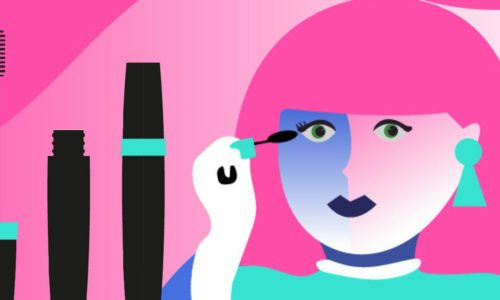 Beauty and fashion industry all-stars will compete in an hour-long make-over competition that looks to engage the audience through several platforms, including an augmented reality app and social media promotions. The disruptive direct-to-consumer startup is unveiling six new personal care items to cater to the emerging clean beauty category. 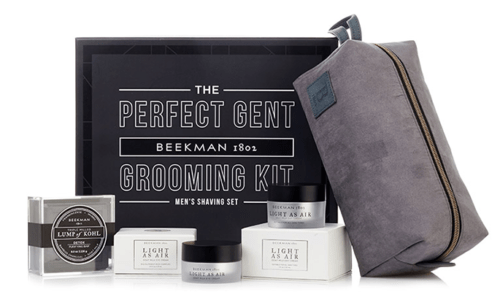 The brand is also debuting its entry into grooming tools with eight new products. Here, some of the brands seen at the show, which took over two floors to host 100-plus wellness, food and beauty exhibitors. 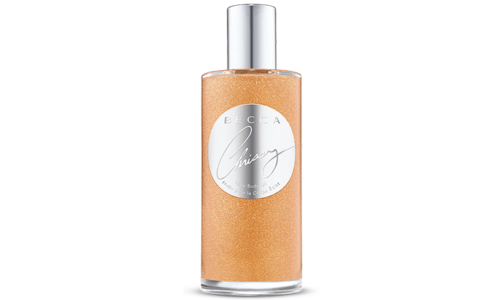 Its latest launch, Skin Caviar Essence-in-Foundation SPF 25, is liquid compact foundation infused with caviar. The acquisition will support the brand’s growth strategy, which includes a focus on its digital and retail expansion endeavors. The prestige beauty incubator is on a mission to build iconic brands founded by artistic visionaries and fueled by creativity, authenticity and a passion for nurturing community and education around their brands. In this special report, Euromonitor identifies the major trends are impacting beauty and personal care industry in 2018, including health-inspired beauty. The e-tailer is reportedly recruiting Brazilian beauty firms Grupo Boticario and Natura Cosmeticos SA to sell via the logistics platform it is developing in Brazil, according to Reuters. The world’s first smart mirror is slated to launch a new mini-touch version this July with a variety of capabilities including, personalized skin care analysis, music and video streaming and fitness tracking. Building off its previous investigation into the natural movement, in this special report Tribe Dynamics provides deeper insights into the trends guiding this space, as well as the most successful products and influencer marketing practices. 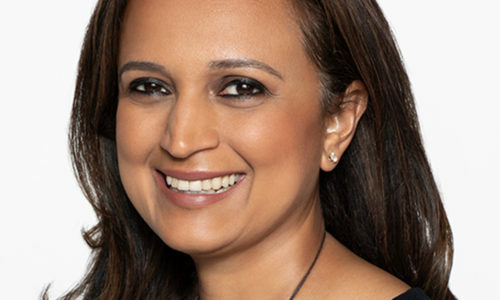 The global beauty tools design and manufacturing firm, led by Anisa Telwar Kaicker, has been recognized in the publisher’s third annual list. 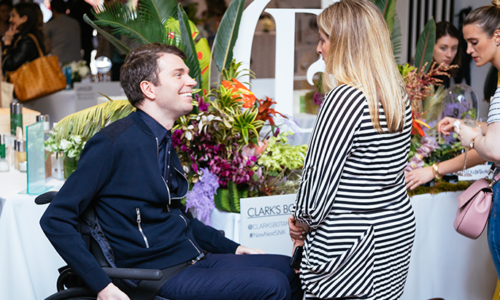 CEW Beauty Insider caught up the forward thinker at a media breakfast at the Wayfarer to discuss his upcoming launches. Here are highlights from the interview. As the South Korean haircare market grows, new personalized products are trending as consumers are increasing looking for new formats that best fits their needs. In this special report, Mintel shares the latest products that are making a big impact in scalp care, hair health and hair styles, and what opportunities lie ahead for brands. The San Francisco-based startup has launched a two-step at-home balayage set that helps users achieve natural-looking highlights. The relaunched CoverGirl brand is set to open a large retail store in the heart of New York, part of the mass legacy brand’s strategic overhaul. Effective June 8, Jill will take over as President of bareMinerals & BUXOM. 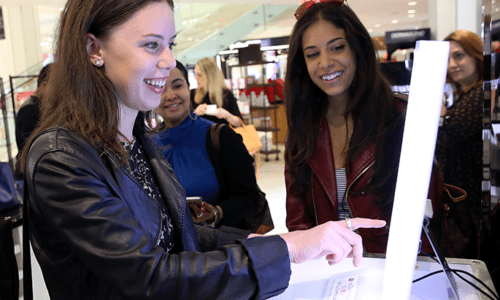 Macy’s is changing the way customers experience beauty in-store and online by creating a more flexible environment for product discovery, including a YouCam magic mirror that enables virtual try on. 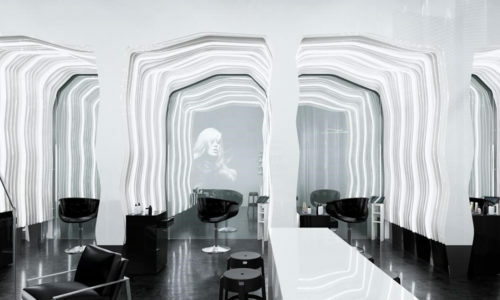 Relaunching stateside this month, the prestige cosmetics brand has opened a shoppable exhibit in Soho, designed by world-renowned architect Zaha Hadid. The six-month pop up is the first of several scheduled to roll out across the U.S. The latest consumer-powered launch utilizes snow mushrooms as its star ingredient, which is said to hold nearly 500 times their weight in water and offer long-lasting moisture retention. In the U.K., Anastasia Beverly Hills held onto the top spot during both January and February. 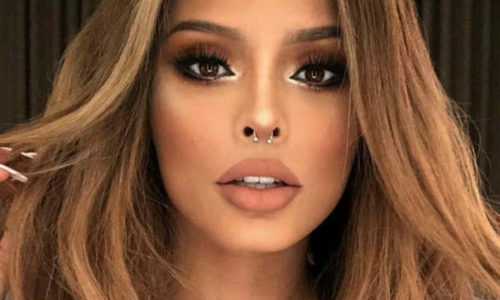 In France Too Faced claimed the number one spot in January, before dropping to number two the following month, after being outdid by Becca’s limited-edition collaboration with powerhouse influencer Sanaa El Mahalli. 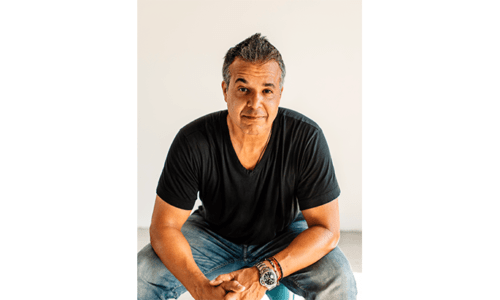 CEW Beauty Insider caught up the skin care guru known for his effective, on-trend and ingredient-driven products. Flesh will offer 40 shades of foundation and Ulta Beauty will be the first to exclusively launch the brand. 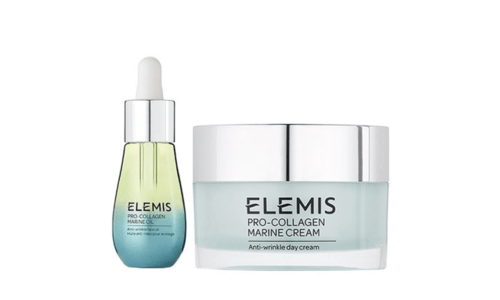 Sales were driven by several factors, including sales of mass cosmetics; continued strength in skin care, fragrances and prestige boutiques; and sales of prestige beauty brands. 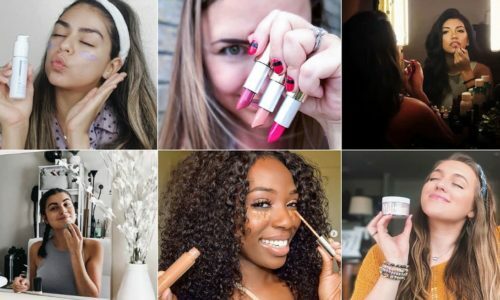 In cosmetics, Huda Beauty rose up a spot thanks to an innovative April Fool’s gag; in skin care, Drunk Elephant debuted on the Top 10, fueled by its powerful micoinfluencer community; and, in hair care, Pantene made its first appearance in the Top 10 since December 2017, bolstered by its #GoGentle campaign. Target selected 10 up-and-coming startups to participate in a retail boot camp aimed at helping them scale their brands to mass retail. Skin care brand, Hey Honey, is extending its global reach thanks to a community-focused strategy based on active listening to customer reviews, and developing and evolving products based on their wants and needs. A new indie brand embraces a beauty-positive, body-positive approach to sexiness for all ages, shapes, lifestyles and identities, in keeping with millennials’ desire for diversity, individualism and authenticity. The brand’s latest launches for spring 2018 boast impressive color tools to nail the perfect warm-weather look with elegant formulas. Fabrizio is among thirty top CEOs who were selected for several key reasons including revenue, earnings growth and share-price performance over the past five years. 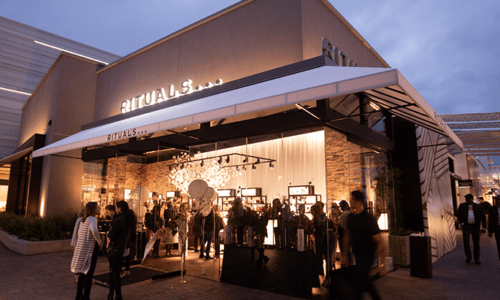 The effort marked the brand’s third activation and featured a selection of products from key Amorepacific U.S. brands. 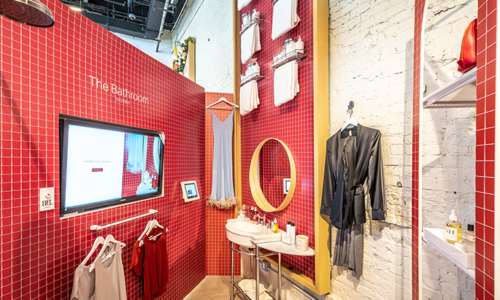 The brand’s entrance into the world of retail is a tech-lover’s dream, filled with AI, “smart” sensors, skin scans and facial recognition technology. The prestige brand’s newly-renovated, multi-level store in Ginza boasts a variety of products and services, including hair and makeup styling, a photography studio and beauty classes that deliver pampering and customizable experiences. CEW Beauty Insider reviewed a selection of the latest athleisure brands capitalizing on the athleisure trend. For this special report, Tribe Dynamics explored the impact that influencers have across distinct regional markets, as well as how brands are leveraging these global communities. Here, the Top 10 reasons why CEW Beauty Insider believes you should run, not walk, to see this unparalleled beauty experience. 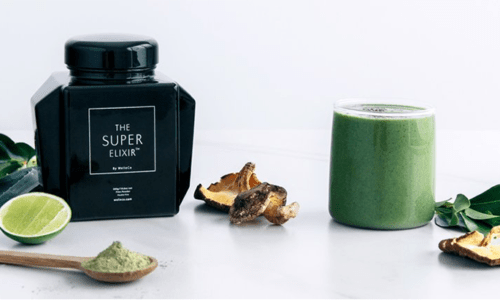 The body and home lifestyle brand inspired by ancient eastern rituals designed to help people slow down and create meaningful moments accelerates its growth in the U.S. The brand’s recent intimate breakfast and panel discussion is the first of several on the horizon as the brand looks to looks to become a trusted resource for consumers. products. 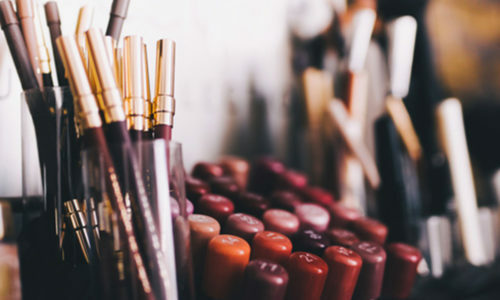 This month, The Benchmarking Company surveyed more than 7,000 U.S. beauty buyers to uncover the lip products and brands that fill her makeup bag. Here, an infographic with the results. 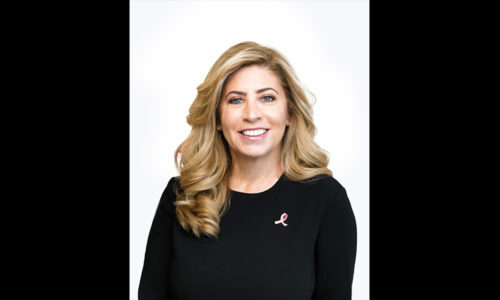 The company’s Board of Directors has named Chief Operating Officer and Board member, Debra G. Perelman, President and Chief Executive Officer, effective immediately. 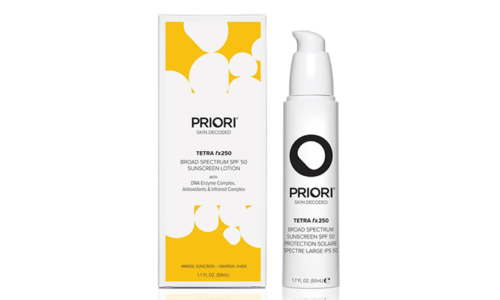 Priori Skincare says it offers “intelligent skin care,” that can respond to a persons’ unique skin needs in real time. 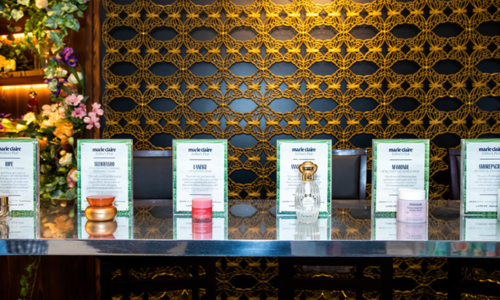 In their follow-up act to last year’s inaugural media showcase, London-based retailer, Space NK, showcased an expanded assortment of brands and added a day for consumers. The performer’s company, At My Heart Inc., is reportedly working on securing a trademark for a new beauty company called Haus Beauty. Where K-Beauty is known for its playful approach, Japanese beauty is more about low-key luxury, time-tested ingredients, steeped in rituals. The middle market private equity firm, announced it will acquire a majority stake in Milani Cosmetics, which encompasses, Milani and Jordana. 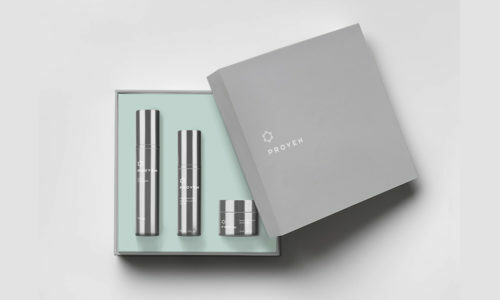 The subscription-based fragrance company has secured one of the largest series A funding rounds secured by a direct-to-consumer brand led by a female CEO. 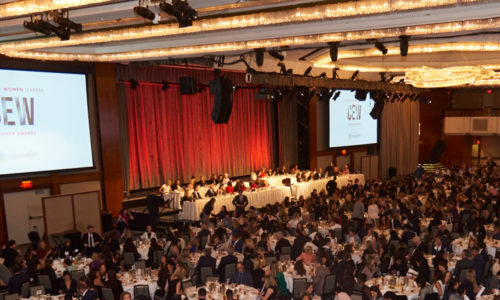 This afternoon, CEW hosted its 24th Annual CEW Beauty Awards Luncheon, the industry’s most significant event recognizing the year’s most innovative beauty products. Click here to see the winners who were named across 44 categories, including skin care, hair, makeup, nails, fragrance and more. According to One Click Retail’s latest report, when consumers shop for beauty products on Amazon, their first priority is skin care and, Professional Salon & Spa has been the fastest-growing beauty category on Amazon. 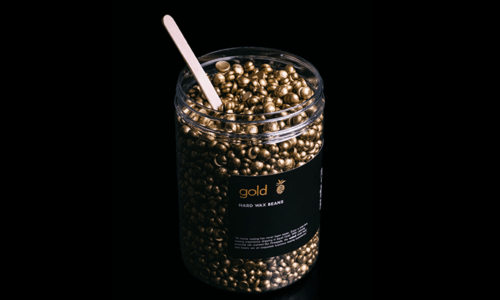 The brand is aiming to turn a traditionally unpleasant experience into a fun and Instagram-able moment with its visually appealing at-home waxing formulas. Kline: The Rise of Natural Beauty in China and the U.S. 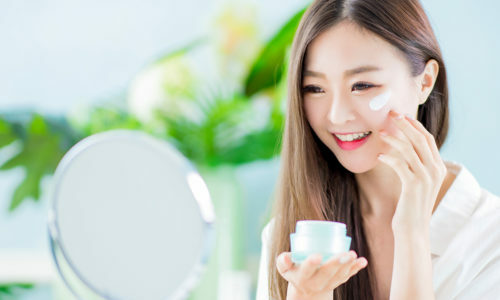 In this special report, Kline offers an in-depth analysis of the dynamic natural and organic beauty personal care market in China and the United States. The report includes insights on key drivers and trends, an overview of the competitive landscape, and predictions for the next five years. 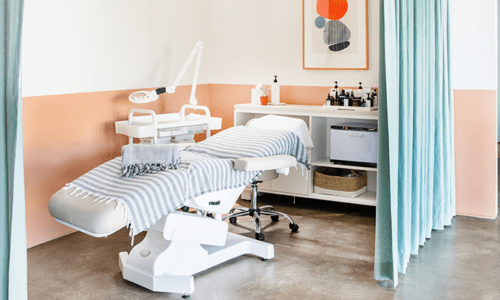 The company unveiled its first-ever world tour, featuring events and complimentary treatments in major cities across the U.S. and throughout the world, including Asia, Europe and Latin America. Invisibobble, a new-age hair tie, is injecting newness and innovation in hair accessories with the goal of ultimately redefining and elevating the entire hair category. Beauty Insider interviewed Chantal at a pop-up in NYC to promote her new scent, where she discussed launching her own business, working with her daughter and the important lessons she learned during her illustrious career. 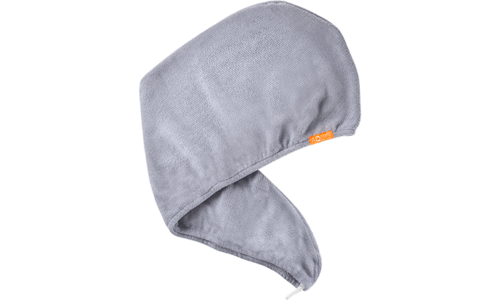 Co-Chief Executive Officers, Britta Cox and Suveen Sahib, discuss why Aquis towels go beyond drying to support hair health and what’s next for the brand. The retailer is continuing its move into Manhattan with the addition of an Upper East Side store slated for 2019. In this special report, Mintel explores how deodorant brands across the world are reacting to the natural movement and what opportunities lie ahead. Sales of U.S. prestige beauty products grew 9 percent to $4.2 billion in the first quarter, according to The NPD Group, primarily driven by skin care. The first-of-its-kind partnership for the museum, The Met Store will carry exclusive makeup and apparel from the iconic makeup artist in celebration of The Costume Institute’s spring 2018 exhibition, Heavenly Bodies: Fashion and the Catholic Imagination. Each year, eco-conscious brands vie to win CEW’s highly coveted Sustainability Excellence Award. 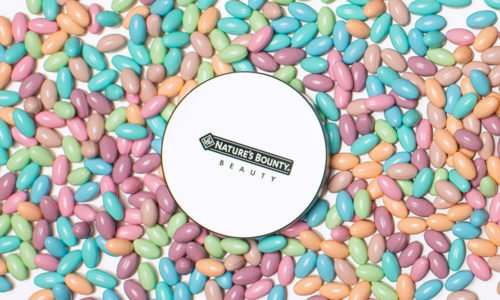 The award recognizes a beauty brand that demonstrates best practices and progress towards the goal of sustainability. Here, the six Finalists.